Bring the Fatherhood of God to the fatherless by investing in the life of a child. View profiles by clicking on the pictures below. 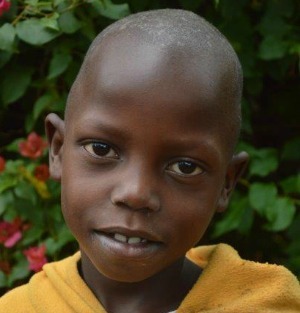 Karungi was the last of six children born to his parents. 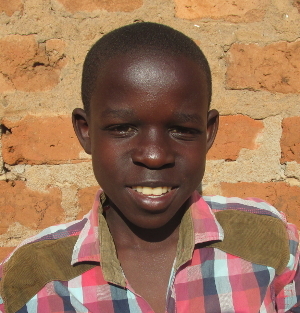 Karungi’s father died in 2004, before he was born, so he has lived only with his mother and siblings. His mother is a peasant farmer, growing food to feed her family; she also works at New Hope’s Guest House to make a little extra money. There are several others living with them, besides her children, including an aunt and her two children, another cousin, and the maternal grandmother. His mother has sole responsibility for all of her children and is not able to adequately support them; there is very little, if any, money to spare for schooling. 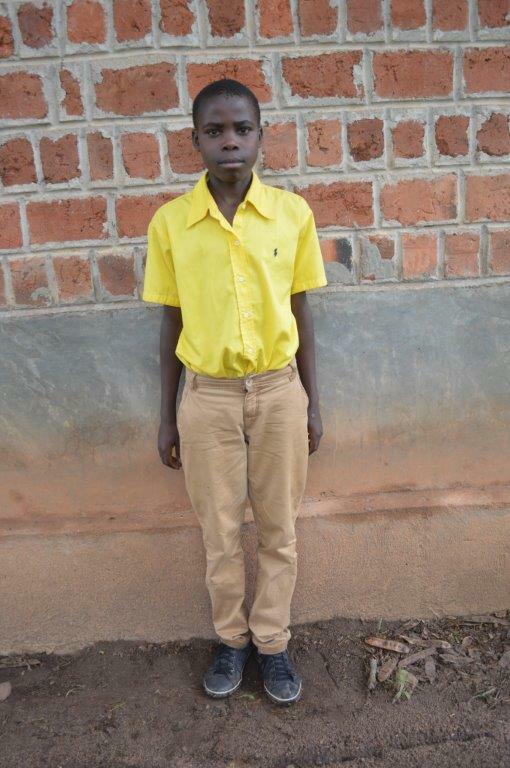 Since they live nearby, his mother came to Kasana for help with schooling for Karungi. 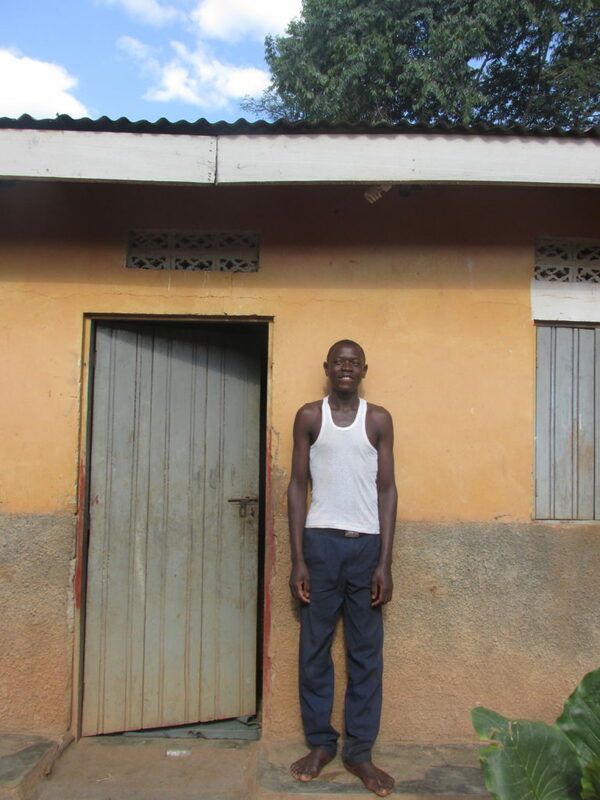 Karungi’s brothers, Steven and Sam, and his sister Sarah, are also in our school. 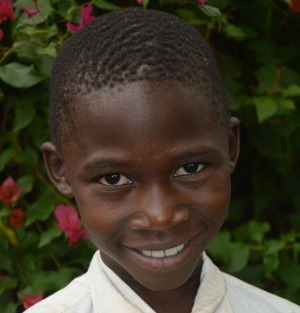 Since coming to Kasana, we have learned that Karungi is introverted, humble, and obedient. Though he is quiet, he is active both in and outside of class. 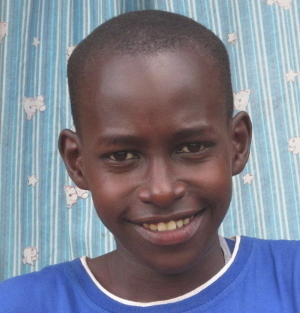 Karungi enjoys playing soccer, hide and seek, and would one day like to be a pilot. 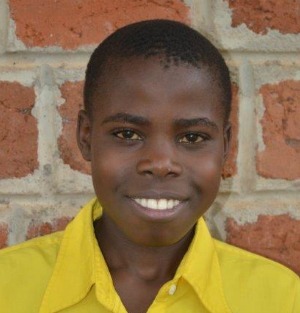 We pray that Karungi would grow in his relationship with the Lord and come to know his fatherhood. Aramadhan was the second child born to his parents who were unmarried, but living together in a stable relationship. His father passed on in 2015, leaving his mother to raise her own six children, plus two of her late brother-in-law’s children. She struggled to feed and educate all the children and so she came to Kasana for help. 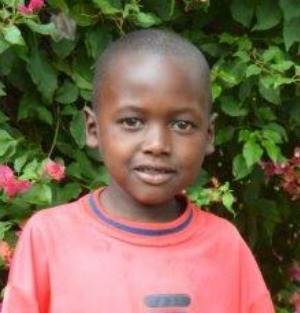 Aramadhan was given a place in our primary school where he is happy, respectful, and doing well. He is hardworking and enjoys making soccer balls out of banana fibers. One day he would like to become a doctor. 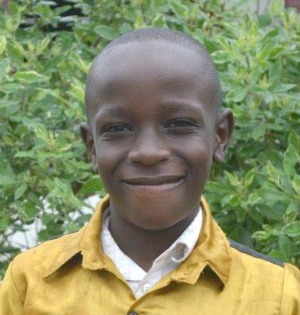 Lokere lives with his mother, who is a peasant farmer and also cares for two other children. She struggles to provide for all their needs on her own. 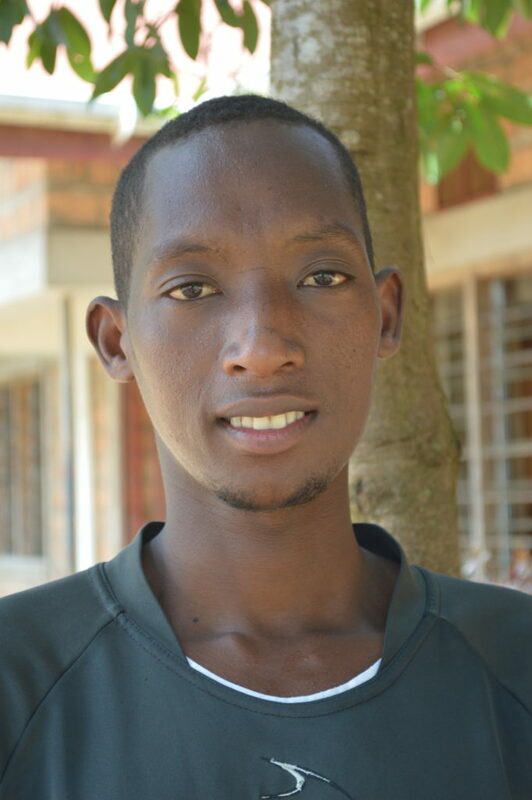 Since coming to Kasana, we have learned that Lokere is playful and displays a caring heart towards his family and others. 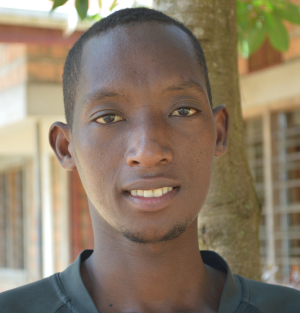 Lokere enjoys playing soccer and farming. One day he would like to become a doctor. 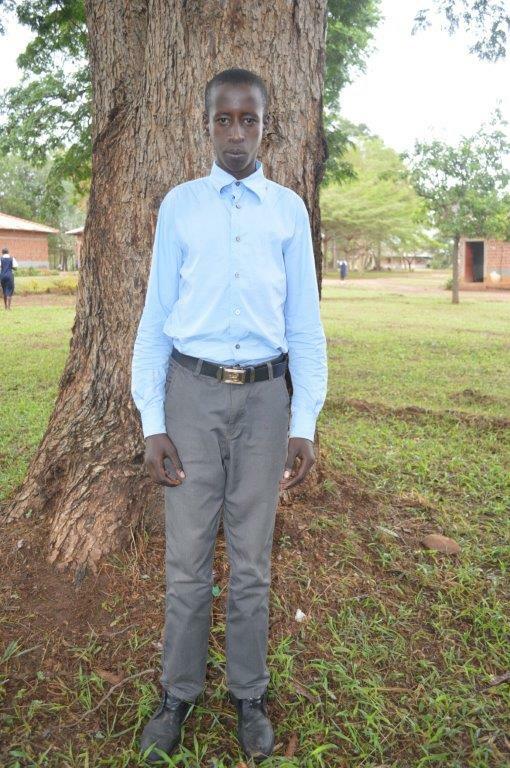 Lokere came to know the Lord through Bible reading at school and has a very close relationship with God. Ronald lives with his mother and siblings in a nearby village, but his mother is weak and is only able to work part of the time. She struggles to meet all of the family’s needs. Ronald is obedient and reserved. He loves to cook and enjoys reading, playing soccer, and rearing cattle. One day he would like to become a pilot. Ronald came to know the Lord in 2015. 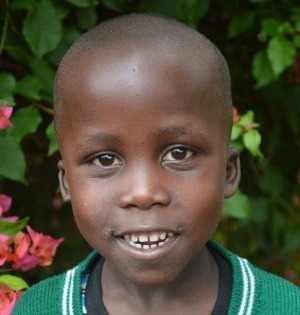 Simon lives with his mother and four siblings in a nearby village. 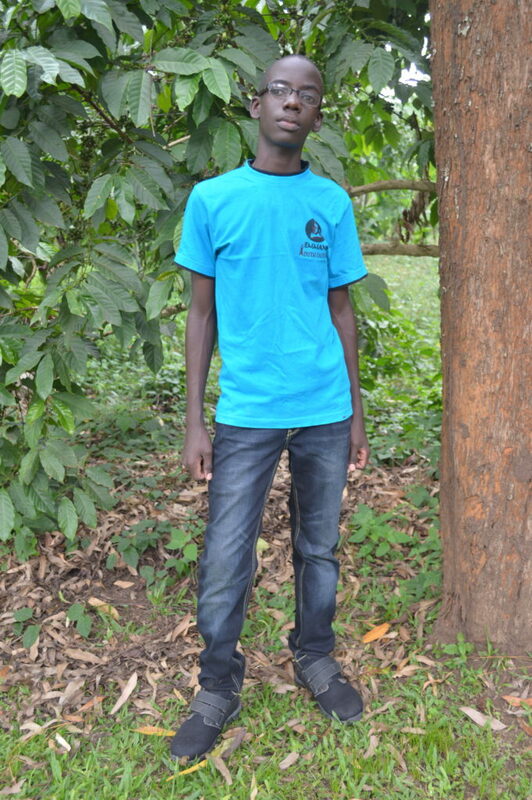 His mother is a peasant farmer who struggles to support her children on her own and so she brought Simon to Kasana for help with his education. Simon is friendly, gentle, and very respectful. In school he is active, well-spoken, and his English is very good. He likes to play soccer and grow crops. One day he would like to either become an agriculturalist or a doctor. Stephen lives with his mother who is a peasant farmer in a nearby village. 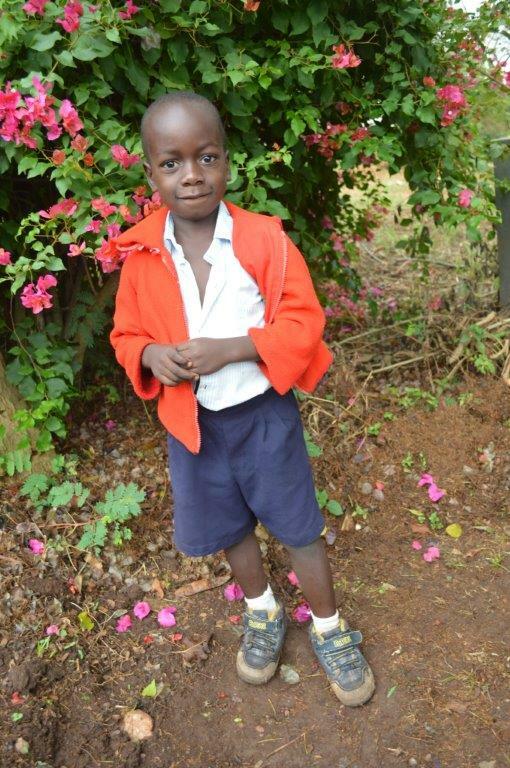 Since coming to Kasana, we have learned that he is humble and obedient and enjoys having fun in class. Stephen’s favorite subject is math and he would like to become a doctor someday. He also enjoys dancing, running, and playing soccer. Daphine and her older brother live with their uncle since the death of their parents. Their uncle cares for three other children and struggles to meet all their needs. 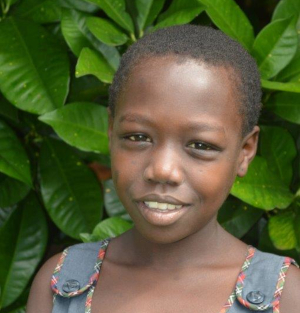 Since coming to Kasana, we have learned that Daphine is quiet, but friendly and cooperates well with others. She struggles at times with her studies, but works hard to improve. 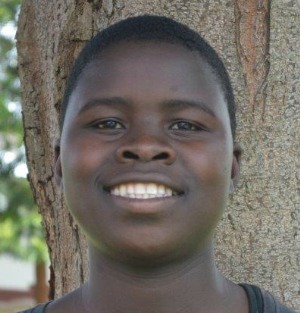 Daphine enjoys watching movies, playing cards, cooking, washing clothes, singing, and joking with friends. 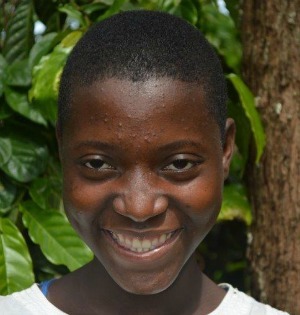 Daphine is committed to the Lord and happy to share her testimony with others. Gasasira lives with his grandmother in a nearby village. She is a peasant farmer and struggles to provide for their needs. Since coming to Kasana, we have found Gasasira to be social and friendly. 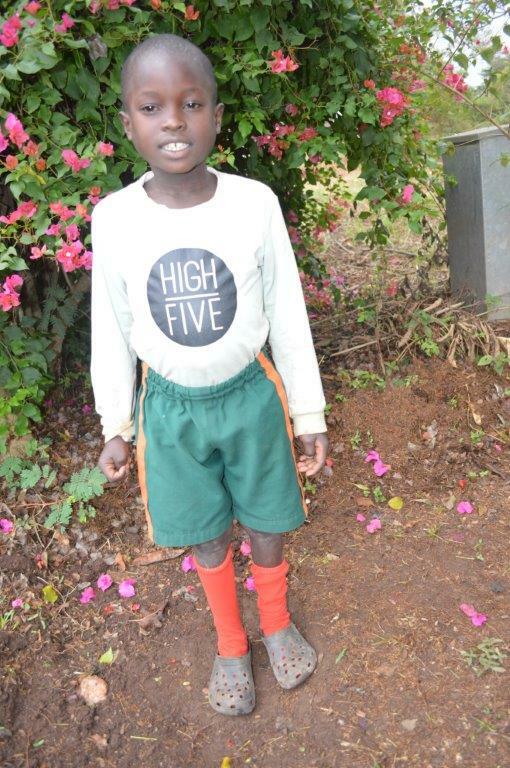 He enjoys playing soccer, reading books, and reading his Bible. One day he would like to become a doctor. 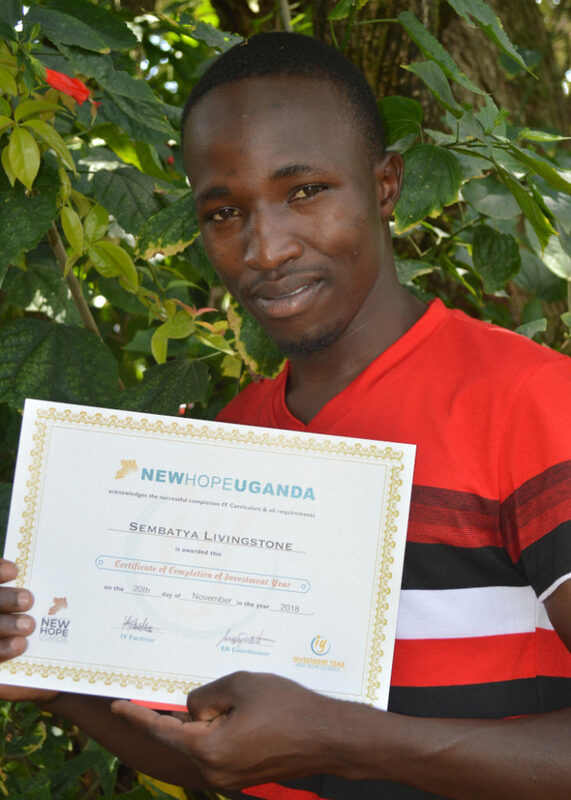 Gasasira is a Christian and very grateful to be at New Hope Uganda. Kato was the fourth child born to his parents. He lived with both parents, until the death of his father in 2009. After the death of his father, his mother moved near to his father’s relatives. Now, all the children are living with different relatives. Kato lives with an uncle, who lives near Kasana and who came here for help with Kato’s education. 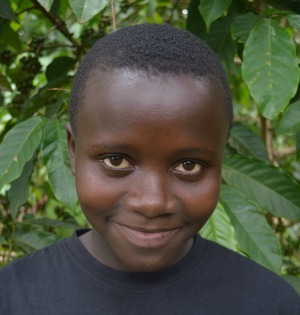 Since coming to Kasana, we have learned that Kato is outgoing and takes correction well. Sometimes he struggles with concentration with his studies, but benefits from individual help in the classroom. He enjoys playing soccer and some day would like to become a pilot. Adam lived with both parents until he was 7 years old, when his father suddenly died. The cause of his father’s death is unknown. Since then, he has lived with his mother and 4 siblings. Adam’s mother is a peasant farmer who struggles to care for all her children. Since coming to Kasana, we have learned that Adam is cheerful, expressive, and enjoys soccer, cooking, gardening, and fetching water. One day he would like to be a police man. Our prayer is for Adam to know His Heavenly Father and for his family’s salvation. Asia lived with both her parents until the death of her father in an automobile accident in 2015. Since then, she has lived with her mother and five siblings. In addition to her own children, Asia’s mother takes care of several other children who are related to her late husband. Her mother is a peasant farmer and the burden of caring for all the children is quite heavy. She struggles to meet the basic needs of all the children under her care and so she came to Kasana for help with Asia’s education. Asia was given a place in our primary school in February 2018. Since then, we have learned that Asia is hard-working, well-behaved, and reserved. Asia also loves to cook, clean, and to play pretend teacher. She would like to be a teacher when she grows up. Our prayer is that she will excel in her studies and grow up to be the woman that God created her to be. Barbra has lived with her mother since childhood. Her father disappeared after a family dispute, and has been away for quite a long time. Her mother takes care of 7 other children on her own. She sells charcoal for a living and earns very little. Barbra’s mother has a huge responsibility as a single parent and struggles to take care of her children’s basic needs. 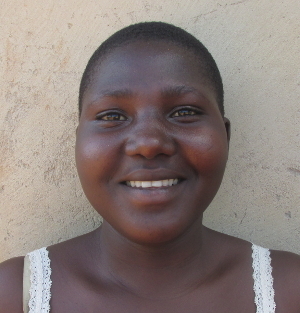 Since they live nearby, she came to Kasana for help with Barbra’s education. Barbra is polite and quiet. She likes to play netball, and excels in both English and math. One day, Barbra would like to become a lawyer. Eddyson was the only child born to his parents who lived together until the death of his father in 2006. Since then he has lived with his mother. His mother is sick and on medication, but has a positive attitude. She does not have any gainful employment, and only grows food crops to feed the family. 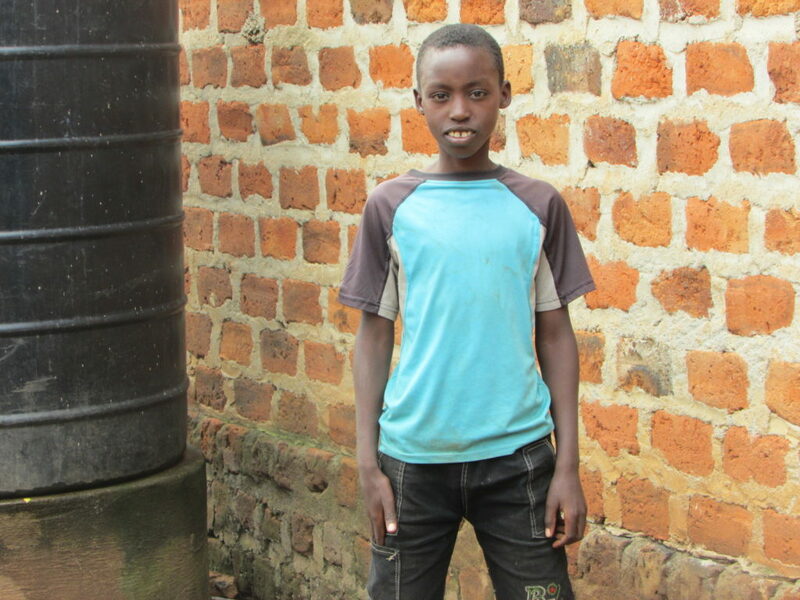 She is struggling to take care of her medical bills, and to pay for Eddyson’s education, and so she came to Kasana to ask for help with his education. 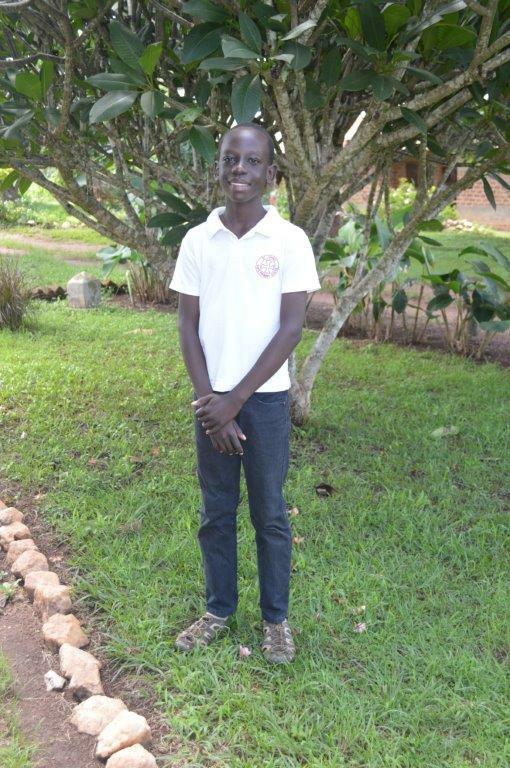 Eddyson was given a placement in our secondary school and since then we have learned that he is well-behaved and obedient. He also enjoys playing soccer, gardening, and excels in English. In the future he would like to become an accountant. We are praying that he will grow in his relationship with God and also for provision for his family. Elizabeth’s father died before she was born, and she has always lived with her mother. Her mother has two other children and also cares for Elizabeth’s cousin and grandmother. Her mother does farming on a very small scale to feed the family, and also works as a maid in someone’s home to earn a little additional income. The family is quite big for the mother to care for on her own especially as she also struggles with health issues. 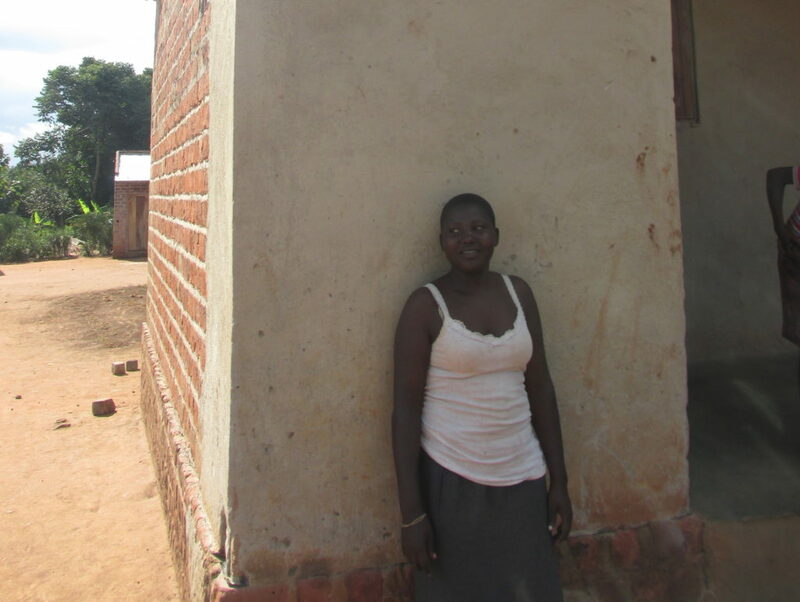 Since they live near Kasana, Elizabeth’s mother came to ask for help with her education. 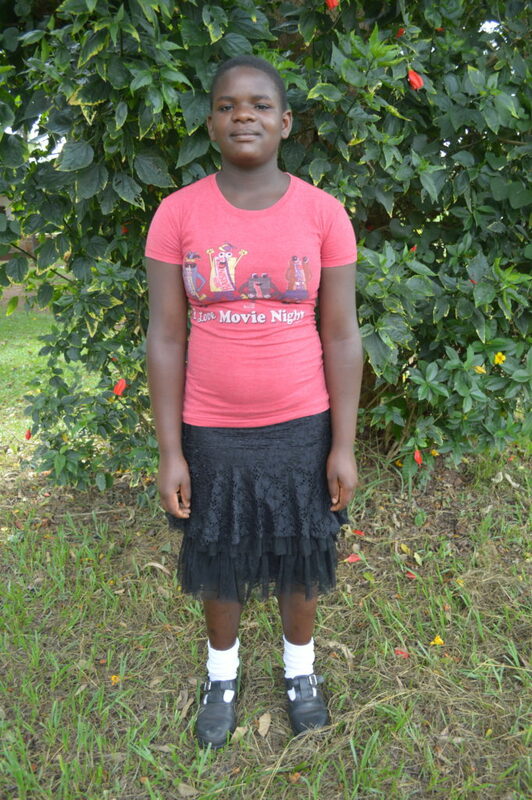 Since joining our primary school in February 2018, we have learned that Elizabeth excels in math, and loves to ride her bike, jump-rope, and cook. We are praying for her mother’s health and for both Elizabeth and her mother to know the Lord. Elvis was the only child born to his parents who were in a causal relationship. Both his mother and father have several other children from previous relationships. Elvis never had much relationship with his father who died in a car accident in 2014 when Elvis was only four. Elvis’ mother does not have any permanent place to stay, and struggles to care for all her children. She came to Kasana to ask for help with Elvis’s education. Since joining our preschool, we have learned that Elvis is a calm and composed child. 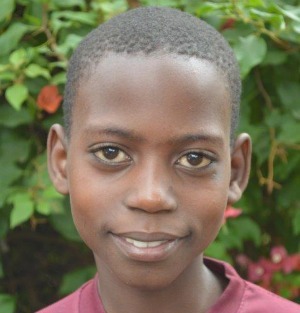 He enjoys running and playing soccer and would like to become a professional athlete in the future. We are praying for provision for his family. 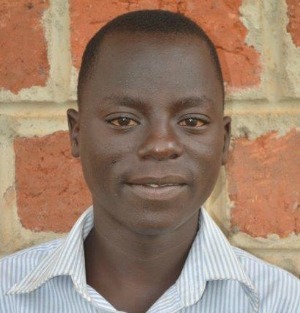 Ephraim lived with both parents who were in a stable relationship until he was 4 years old. In 2009 his father was tragically murdered. Since then he has lived with his mother and his brother Samuel. Their mother is a peasant farmer who grows food mostly to feed the family. She has no gainful employment and struggles to meet the basic needs of her children. She therefore came to Kasana to ask for help with Ephraim’s education. 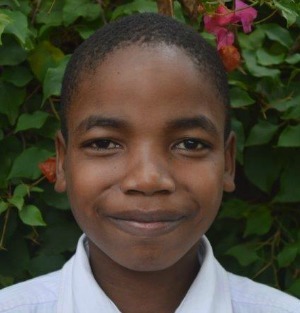 Since joining our primary school in February 2018, we have learned that Ephraim enjoys playing soccer and making bricks. He is very helpful at home with his mother and excels in math and social studies. One day, Ephraim would like to become a carpenter. Eria was the 3rd child born to his parents who were living together in stable relationship until the death of his father in 2012 from electrocution. After his father’s death Eria lived with his mother who also died in 2014. Currently he is living with his grandfather who is a peasant farmer and becoming very old. His grandfather also takes care several other children and struggles to meet their basic needs. He therefore came to Kasana to ask for help with Eria’s education. Eria was given a placement in our primary school. Since then we have learned that he is cheerful, respectful, and caring. 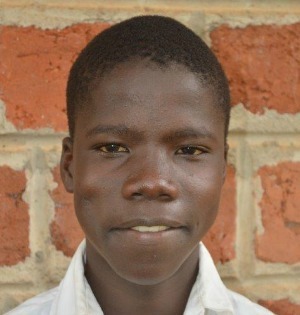 He enjoys playing soccer, and excels in Christian religious education class. In the future he would like to become a doctor. Etomet was the second born of his parents and both parents died when he was still young. When his mother died, Etomet was 2 years old. He then lived with his grandma who has been struggling to take care of him since. Because of this, Etomet was brought to live onsite at Kasana. Etomet is humble, well-behaved, and reserved. He enjoys soccer, gardening, and excels in math. In the future he would like to become a medical doctor. Henry lived with both of his parents until 2004 when his father died. When Henry was five, his mother sent him to live with his paternal grandmother as she was struggling to take care of him and his two siblings. In 2015, he went back to live with his mother. 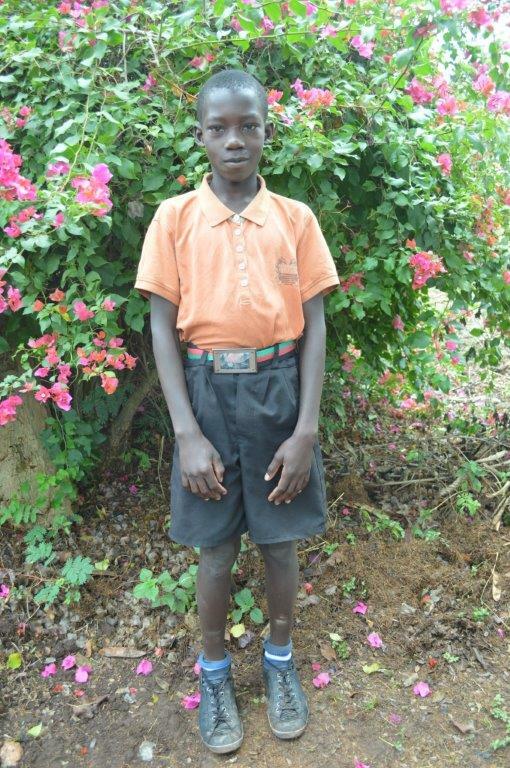 His mother is currently living with another man near Kasana and works at our primary school as a cook. 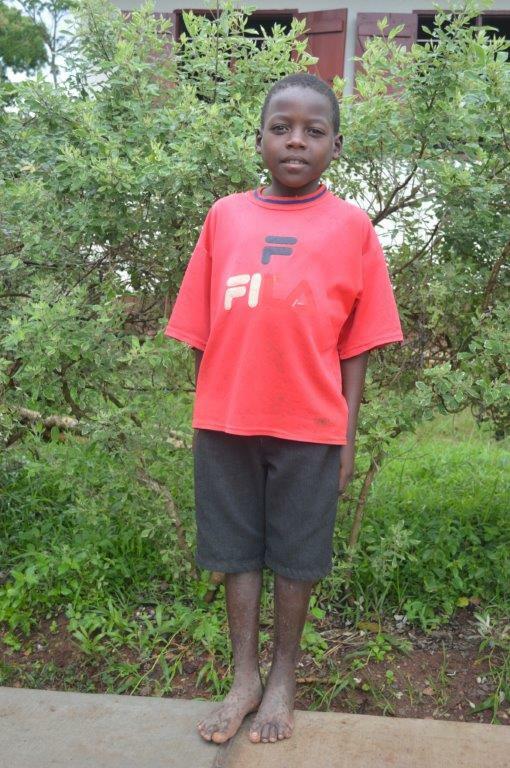 His mother earns little and struggles to pay school fees for Henry and his siblings. She requested help with Henry’s education. 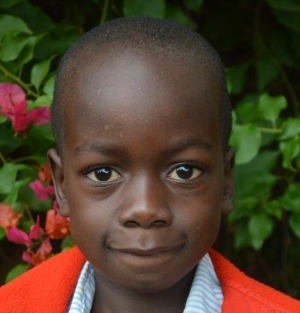 Since Henry joined our primary school, we have learned that he is reserved and hard-working. He enjoys gardening, playing soccer, and making bricks. He excels in math. One day, Henry would like to become a doctor. Hussein lived with both of his parents until he was one year old. At the age of one, his mother left him with his father, and since then her whereabouts have been unknown. Hussein’s father remarried, but he died in 2015 and since then Hussein has lived with his stepmother and four half siblings. 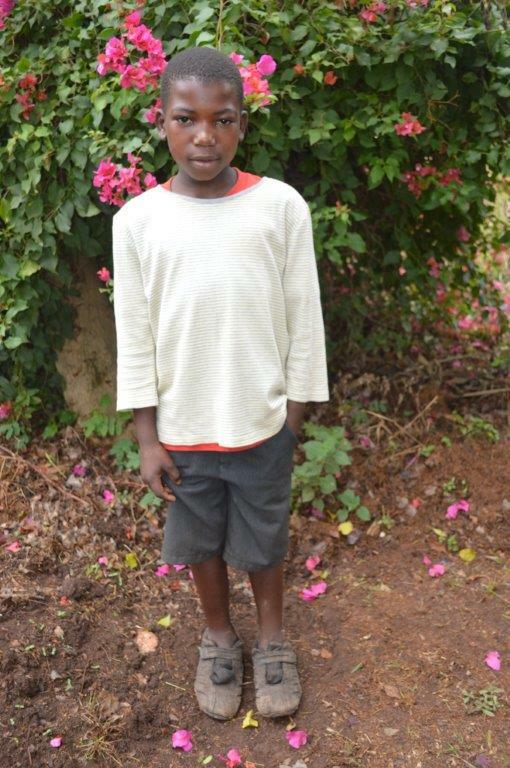 His step mother has been taking good care of him, but she is a subsistence farmer who earns little and struggles to feed and pay school fees for all the children under her care. Therefore, she came to Kasana for help with Hussein’s education. 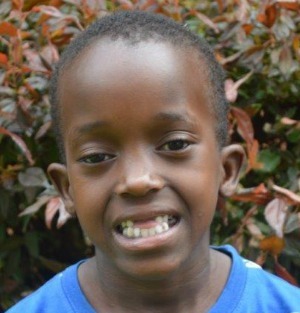 Since Hussein joined our primary school in 2018, we have learned that he is cheerful and always has a smile on his face. 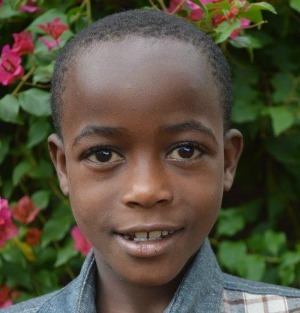 He also enjoys cars, painting, sweeping, and fetching water at home. In the future, he would like to become a driver. We are praying for his salvation, for the salvation of his entire family, and for their health. Ibra was the 6th child born to his parents who were living together in a stable relationship until the death of the father. Ibra’s father worked as a caretaker on someone’s farm and when he died, the farmers he worked for offered to take care of Ibra since the mother was left with a huge responsibility of caring for of all the children on her own. Since then, Ibra has lived with the farming family. They now farm on a small scale and have been struggling to care for Ibra, so they came to Kasana to ask for help with his education. Since joining our school, we have learned that Ibra is calm, reserved, and well-behaved. 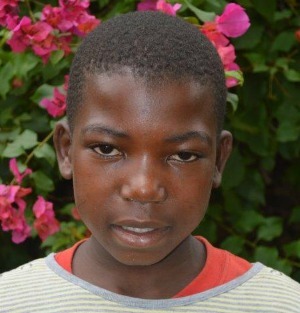 He enjoys playing soccer and fetching water and would one day like to become a mechanic. Joan lived with both her parents and four other siblings until 2013 when her father disappeared. Joan then lived with her mother until 2015 when she was brought to live with her paternal aunt. Since that time Joan’s mother has disappeared as well. Joan lived with her aunt for two years, then with her grandmother for another two years, and she is now back to living with the aunt. Since her aunt struggles to care for Joan as well as her own children, she brought her to Kasana for help with her education. Since joining our school, we have learned that Joan loves to read and play netball and indoor games. She excels in science and English. In the future, she would like to become a midwife. We are praying that Joan would know and experience the Fatherhood of God. John was the third child born to his parents who lived together until the father died in 2015. His mother then brought him to live with his paternal aunt and afterwards disappeared. 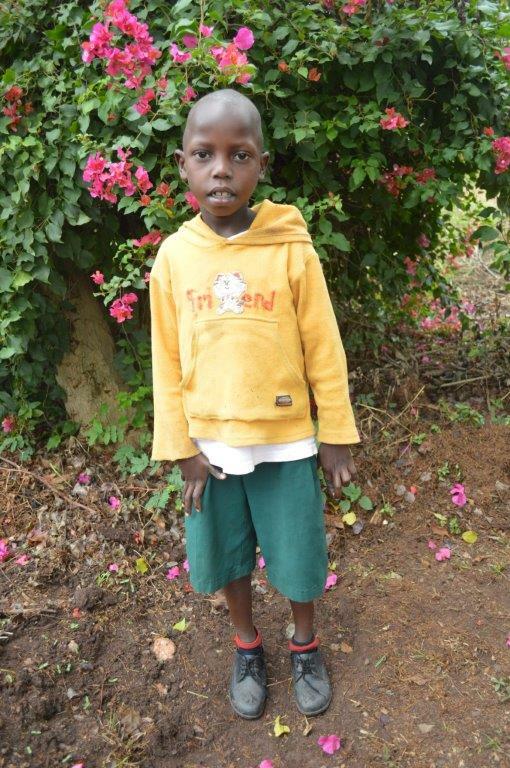 After a year, John was brought to live with his cousin who is a wife to one of our staff at Kasana. His cousin and her husband have six children of their own and struggle to provide for all of the children in their care, so, they came to ask for help with John’s education. 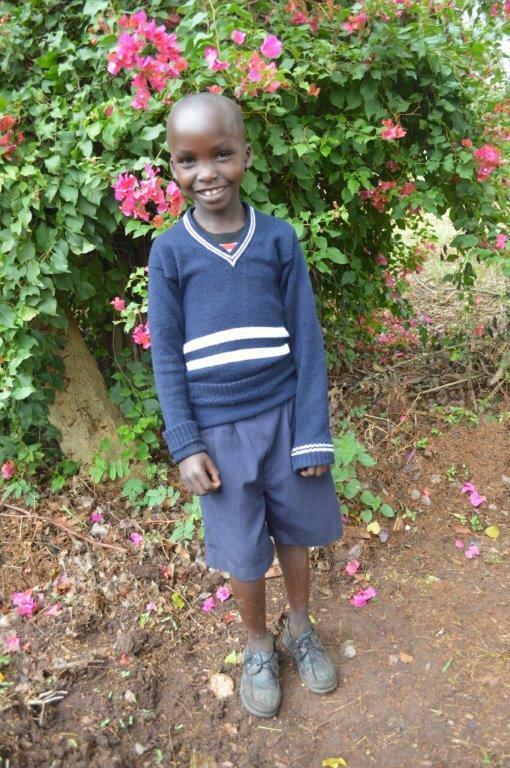 Since John has joined our school, we have learned that he is always smiling and is an obedient child. He enjoys reading, playing with his friends, and also enjoys helping with chores. Joshua’s father died in 2012 when Joshua was only three months old. He has since lived with his mother who is sickly and on regular medication. His mother does causal labor, mostly working in people’s gardens, and earns very little. She struggles to care for Joshua and his siblings in addition to her own medical expenses. 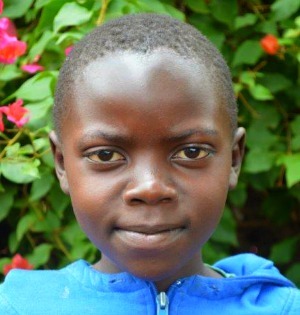 Since they live near Kasana, she came to us for help with Joshua’s education and he was given a placement in our primary school. 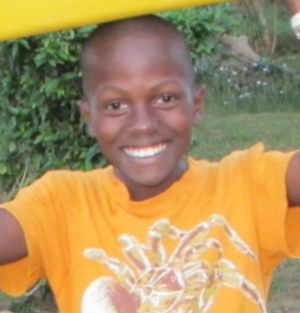 Since coming to Kasana, we have learned that Joshua is quiet, obedient and servant-hearted. 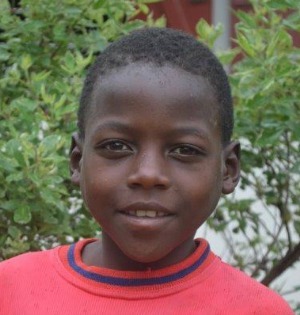 He enjoys playing soccer and likes to help his mother fetch water. 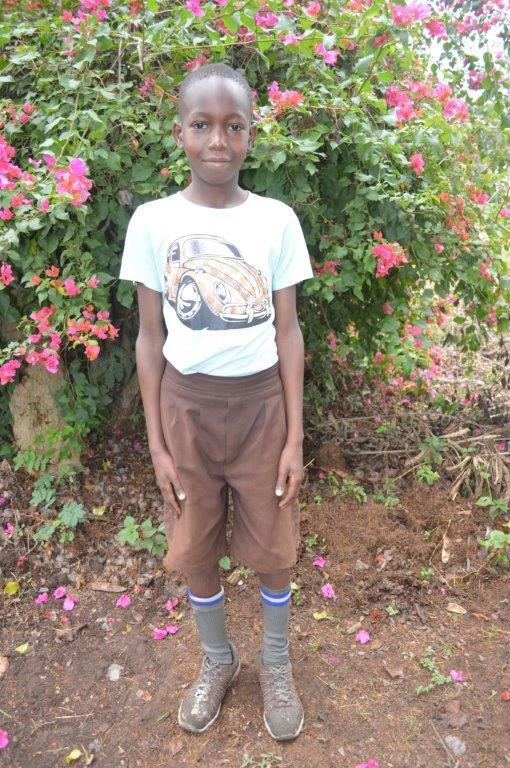 Joshua excels in English and would love to become a farmer in the future. We are praying for good health for Joshua’s mother and that they as a family will come to know and accept Jesus Christ into their personal lives. George lived with both of his parents until recently. His father is alive but very sick and suffering from chronic wounds on his legs. He can hardly do any thing for himself or work to support the family. 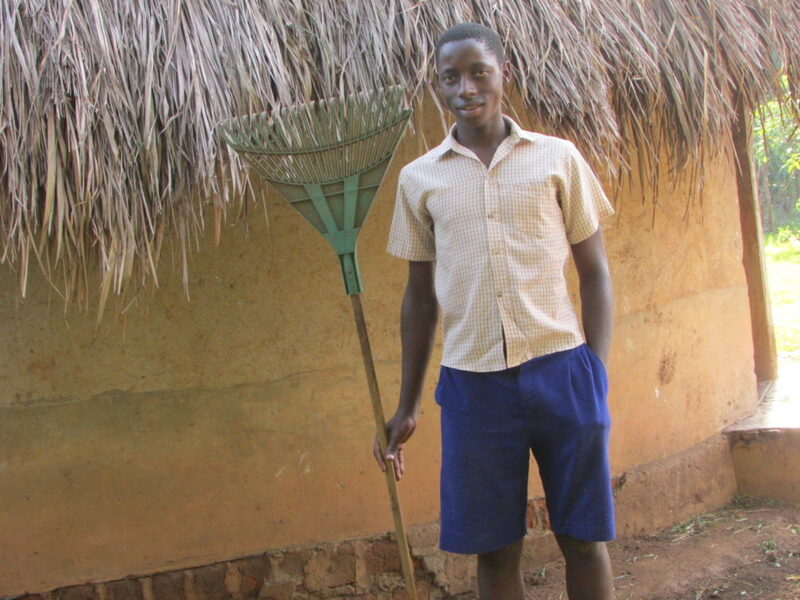 George’s mother works causal jobs in people’s gardens, and earns very little to support the family. Their family is very poor and struggles to educate their children, and so they came to Kasana to ask for help. 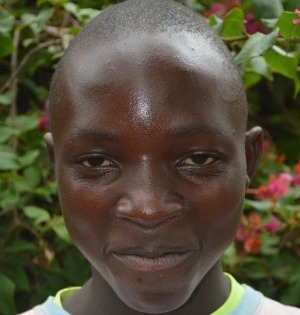 George, his brother Daniel, and sister Winnie were given placements in our primary school. 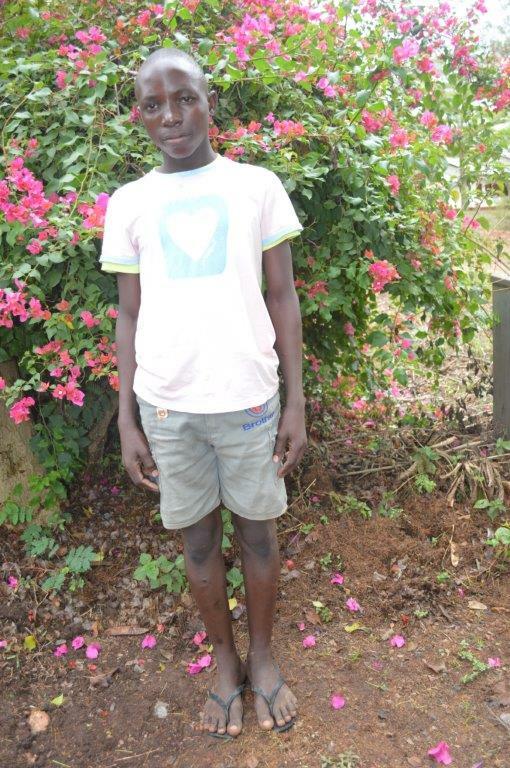 Since coming to Kasana, we have learned that George enjoys playing soccer, running, and singing. He is also very helpful with chores at home. We are praying that he will come to know the saving grace of Jesus and His Lordship. 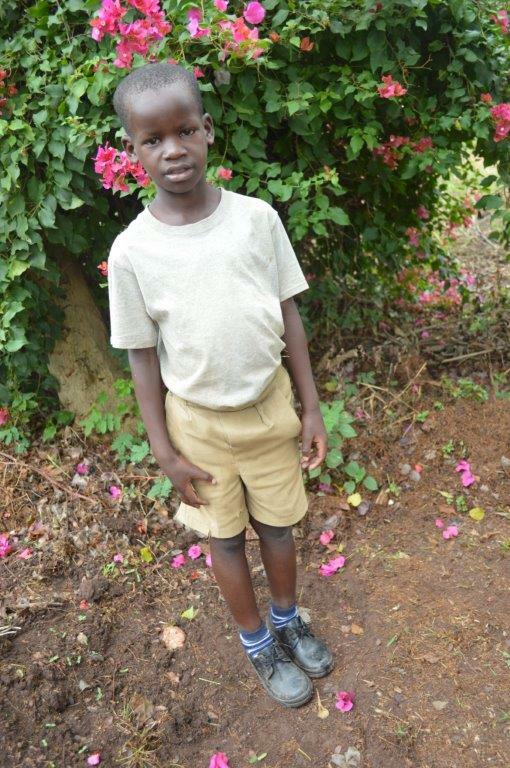 Keneth has lost both of his parents. His father died in 2012 and his mother in 2014. Both parents were sickly before their death. 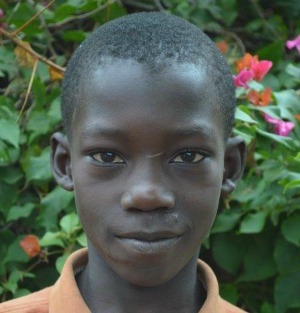 Since the death of his mother, Keneth has been living with his aunt and six cousins. His aunt is a peasant farmer who earns very little and struggles to provide for all seven children. She therefore came to Kasana to ask for help with Keneth’s education and he was given a placement in our primary school. 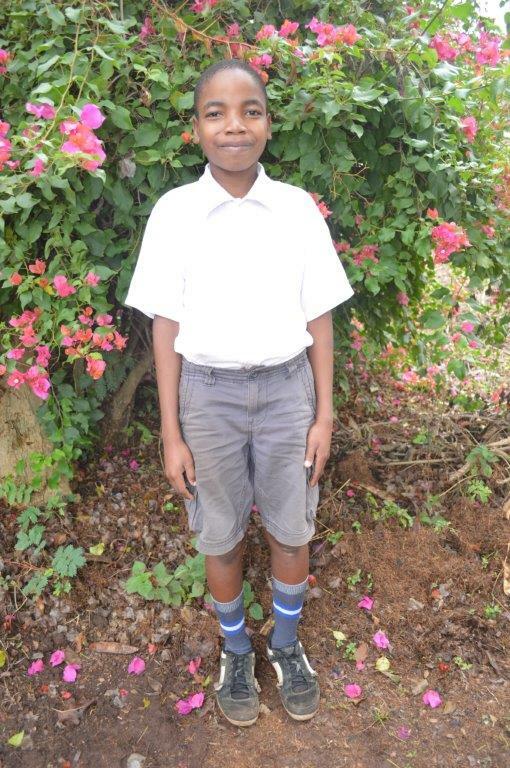 Since joining our school, we have learned that Keneth is humble and polite. He enjoys playing soccer and making charcoal. 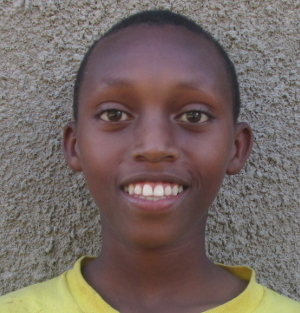 Keneth excels in science and would like to be a doctor in the future. We are praying that Keneth would come to the knowledge of the Fatherhood and saving grace of God. 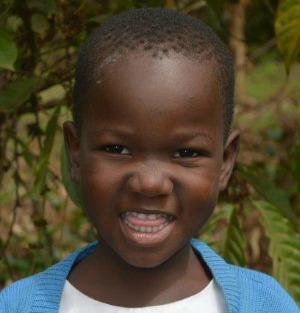 Kisakye was the third child born to her mother. It is not known if all three children had the same father. Kisakye’s father and mother were in a casual relationship and it is not known where her father is or if he is still alive. Her mother has also passed away. 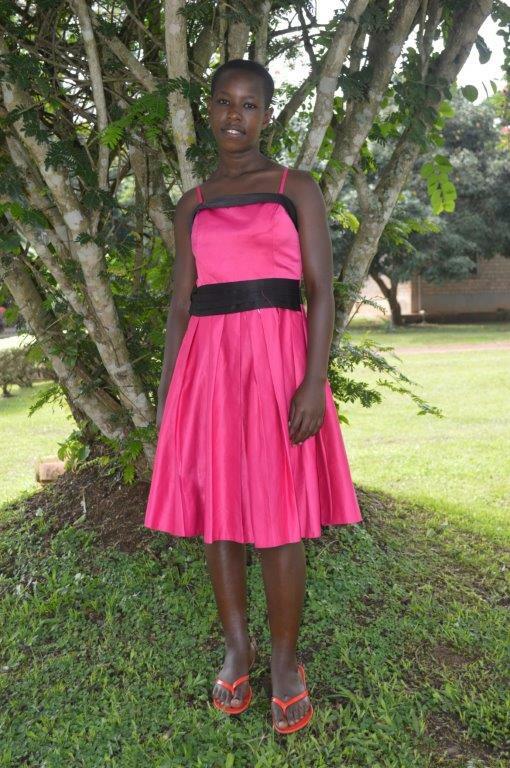 Kisakye lived with her grandmother for a time and then went to live with a maternal uncle for nine years. She is now back living with her grandparents who are elderly and in poor health. Her grandparents are also taking care of two of Kisakye’s cousins. They have a few animals, but are struggling to care for the children on their own. Since coming to Kasana, we have learned that Kisakye is reserved and polite. She enjoys reading, netball, and cooking. In the future Kisakye would like to become a doctor. Lwasi was the third child born to his parents who lived together in a stable relationship until 2007 when the father died in a car accident. 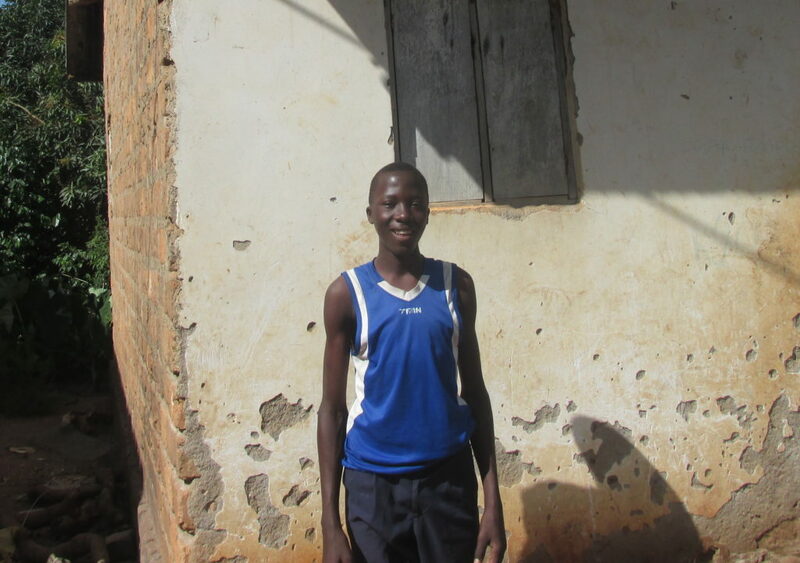 Lwasi lived with his mother until 2015 when he then moved to live with his aunt to be closer to the school he was attending. The family he now lives with grows crops for food and sells charcoal to earn a a little extra income. Since Lwasi’s aunt has many children, she struggles to pay for their education in addition to taking care of their basic needs. 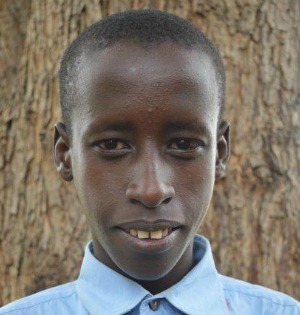 Since Lwasi has joined our school, we have learned that he is self-confident and can express himself well. 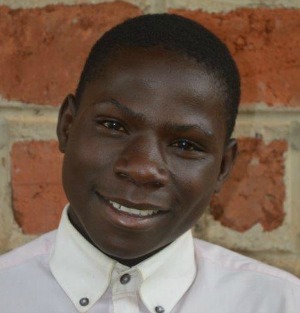 He enjoys playing soccer, cooking, gardening, and fetching water. One day he would like to become a plumber. Lwasi just recently accepted Christ as his Savior. We pray that God will make provisions for him to study well and that he will grow in his relationship with God. Majorine has lived with her mother since she was born. Her parents were in a causal relationship and they never married. Majorine’s mother got married to another man after giving birth to Majorine and now Majorine lives with her mother, stepfather, and a step-brother. They are peasant farmers who earn very little, and since in Africa stepfathers are not culturally responsible for stepchildren, Majorine’s mother struggles to pay school fees for her. 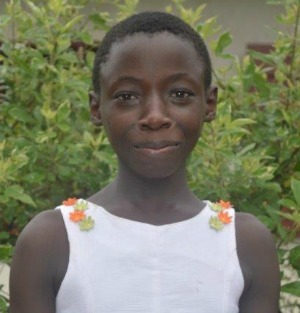 She came to Kasana for help with her education and Marjorine was given a placement in our primary school. Since joining our school this year, we have learned that Majorine is talkative, jolly, and well-behaved. She loves to sing, act, and pretend to be a chef. One day she would like to be a musician. Mathias was the first child born to his parents who were not married, but living together. His father died when Mathias was three years old. His mother now lives with another man who is very good to her children and they now have children of their own. (In the Ugandan culture men will not normally take on another man’s children). His mother and her new husband are peasant farmers and barely grow enough to feed the family. 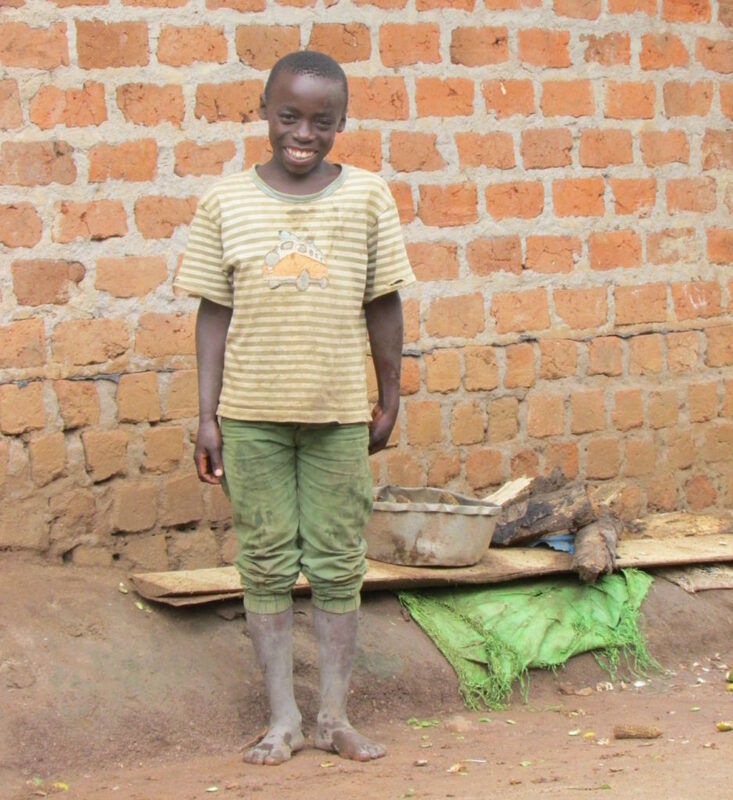 There is no money for school fees and so the mother came to Kasana for help with Mathias and his brother’s education. 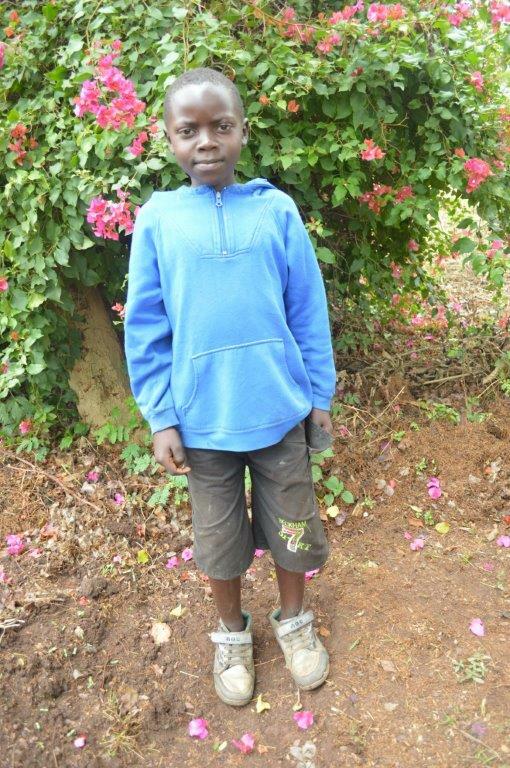 Since coming to Kasana, we have learned that Mathias is quiet and reserved. He enjoys plaing soccer and would one day like to become a farmer. 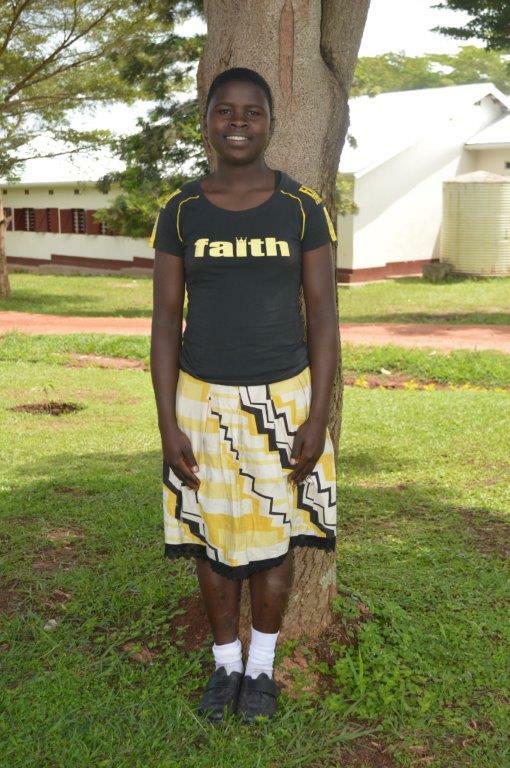 Mercy lived with both parents who had a very stable marriage relationship until 2015 when her mother died of cancer. 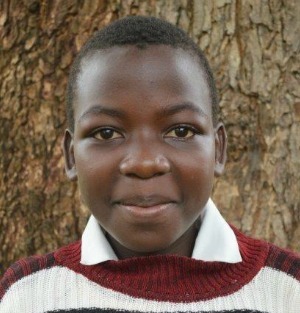 Mercy has six siblings and now lives with her father, Uncle Okoth, who has faithfully worked as an administrative assistant at our Kasana primary school since 2002. Because of the struggle of caring and providing for seven children as a single parent, Mercy’s father has asked for help with his children’s education. 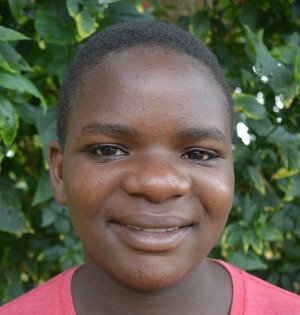 Since coming to Kasana, we have learned that Mercy enjoys playing soccer and netball and helping with chores at home. She excels in math and English and would like to become a nurse or teacher in the future. Meshach was the second born to his parents who were living together until the death of his father. Meshach was less than a year old when his father died. He has since lived with his mother and sister. His mother grows food crops to feed the family and she struggles to take care of her children’s basic needs. Since they live near Kasana, she came to ask for help with their education. 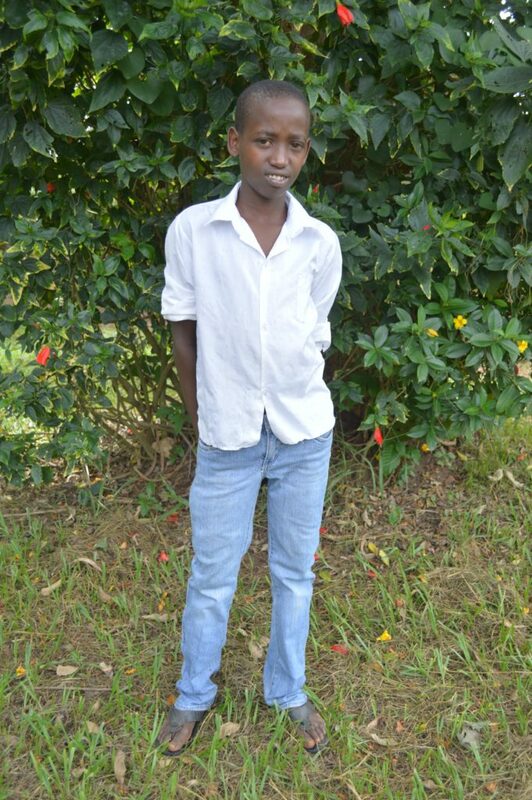 Meshach was given a placement in our primary school and since then, we have learned that he is reserved, but well-behaved. 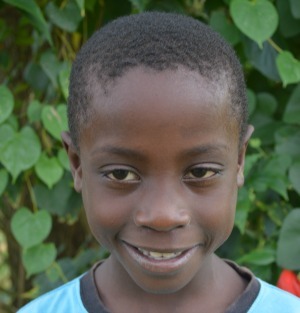 Meshach enjoys playing soccer and reading books. Moses’ parents separated a few months after he was born. At that time Moses was left to live with his father and paternal grandma. Moses’ father passed away in 2012 when Moses was five years old at which point he went to live with his paternal uncle. The uncle and aunt are subsistence farmers and have four children of their own. They struggle to care for all the children and therefore came to Kasama to ask for help with Moses’ education. 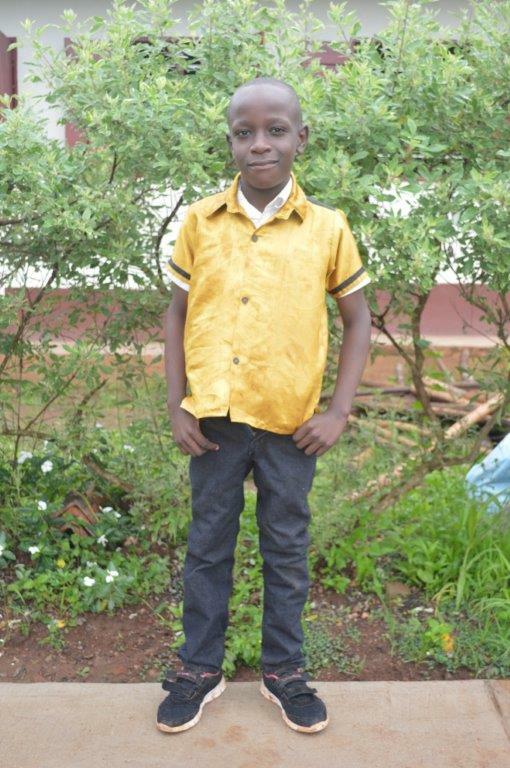 Moses was given a placement in our primary school this year. Since then, we have learned that he enjoys playing soccer and helping his aunt weave. 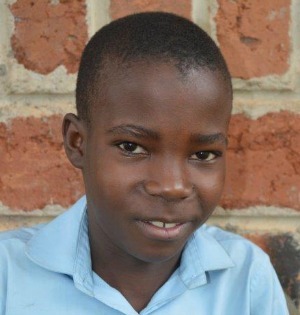 Mutsinzi is the third of six children born to his parents who have been living together for many years in a stable relationship. Mutsinzi’s parents are both alive and he lives with them, but they are both very sick and unable to work and take good care of all their children. 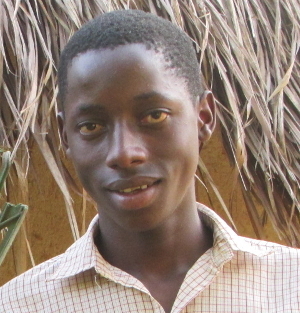 Since they live near Kasana, they came to us for help with Mutisinzi’s education. 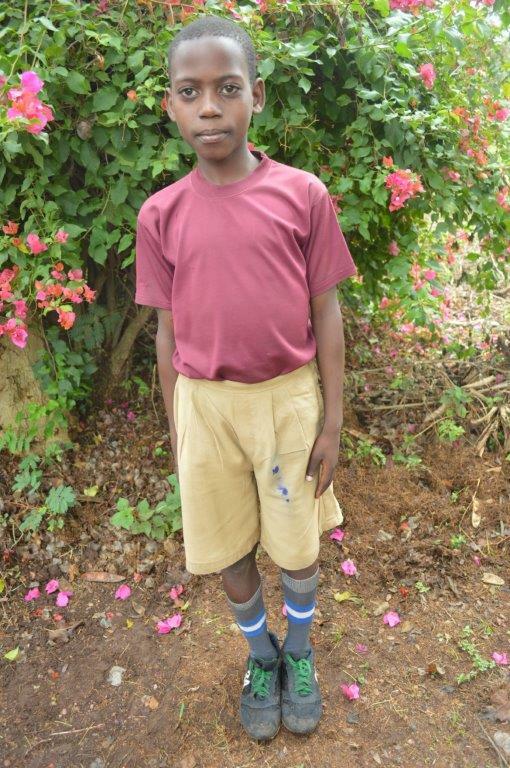 Since joining our secondary school, we have learned that Mutsinzi is clever, well-behaved, and friendly. He enjoys grazing cattle and excels in math. One day he would like to become a teacher. Nakabugo is the first child born to her parents who were never married, but in a casual relationship and the father had other relationships at the same time. Both her parents are alive however, her father doesn’t take any responsibility. He is an alcoholic and drug addict and considered dangerous in the community. Nakabugo stays with her mother, grandmother, and siblings. Her mother is a peasant farmer who struggles to educate and feed her children. Since coming to Kasana, we have learned that Nakabugo is easily angered, but forgives easily and is kind-hearted. She enjoys making baskets and cooking. In the future she would like to become a nurse. Namirimu was the fourth child born to her parents. She lived with both parents, until her father died in 2002 in a motor accident. Now, she lives with her mother and her younger siblings. Her mother is a peasant farmer, who struggles to provide for the family on her own. 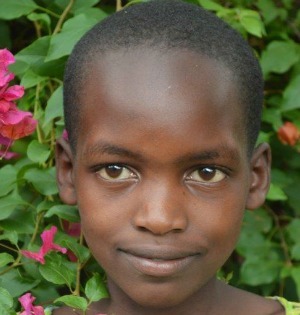 Her mother came to Kasana to ask for help with Namirimu’s education. 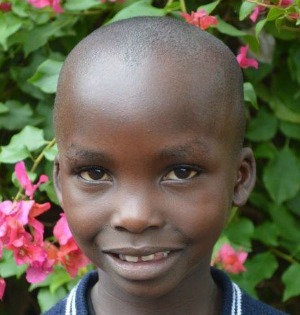 Namirimu is a very friendly girl, who is a joy to be around. 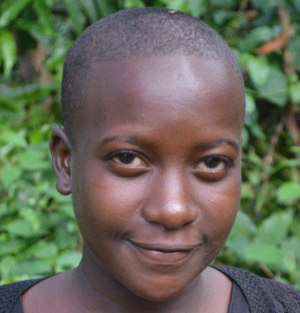 She enjoys playing netball and making traditional, Ugandan mats. One day she would like to become a teacher. Namuto was the only child born to her parents. She lived with both parents, until her father died when she was about four years old. The cause of her father’s death is not known. Namuto stayed with her mother until she was about seven, when she came to live with her paternal aunt, because her mother is an alcoholic and not capable of taking care of Namuto. Her aunt is a peasant farmer and earns a little by doing small jobs in people’s homes. 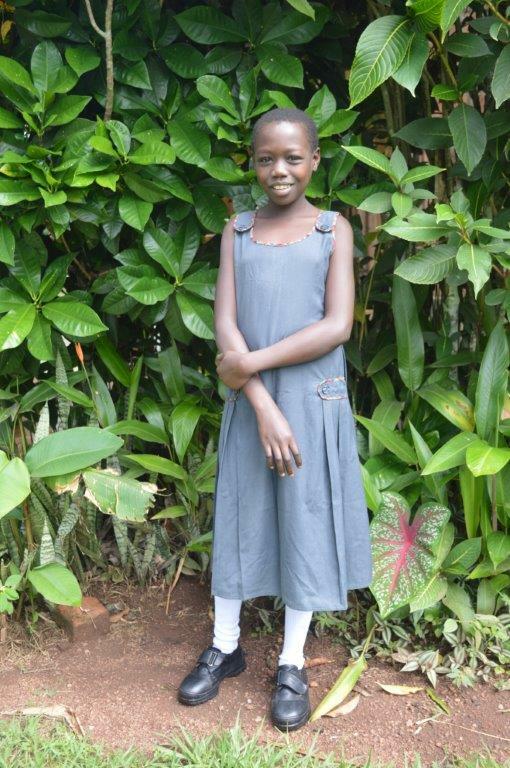 As she lives near by, her aunt came to Kasana for help with Namuto’s education. Namuto is humble, respectful, and social. 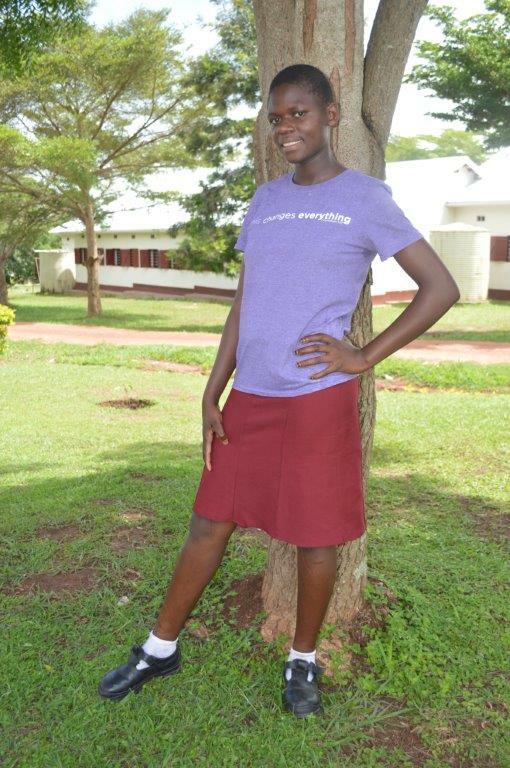 She enjoys playing netball and reading books, and she would like to become a nurse someday. Nankinda lived with both her parents until she was seven months old when her parents separated and she was left to live with her great uncle. When Nankinda was three years, old her parents reunited and she lived with them until her father died in 2010 of an electric shock. Nankinda’s mother also passed away in 2014. At that time Nankinda returned to living with her great uncle again. Her great uncle is a peasant farmer and now very old. He earns very little and struggles to care for Nankinda as well as his own big family. Since they live near Kasana, he came to ask for help with Nankinda’s education. 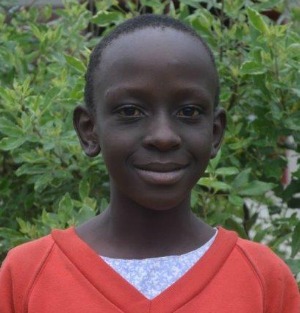 Since Nankinda joined our school in February 2018, we have learned that she is self-confident and helpful. 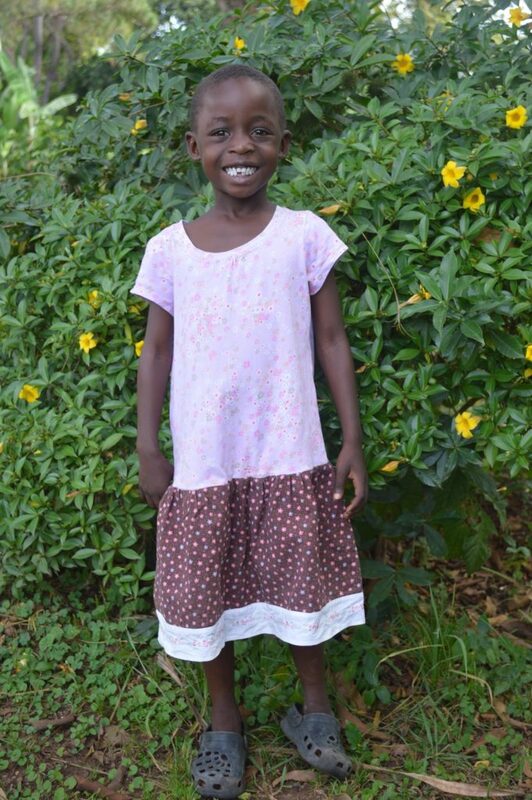 She enjoys singing, dancing, and helping with chores at home. One day Nankinda would like to become a nurse. Nantume was the 7th child born to her parents who lived together in stable relationship until the death of her father in 2005, when Nantume was only 2 years old. Since then, she has stayed with her mother, 3 siblings, 1 cousin, and 1 step-sister. Her mother is a peasant farmer, sickly, and often on medication. Because of her health conditions, she can’t do a lot of work, and yet she has a huge responsibility to care for all these children. Since they live near Kasana, she came to ask for help with some of her children’s education. 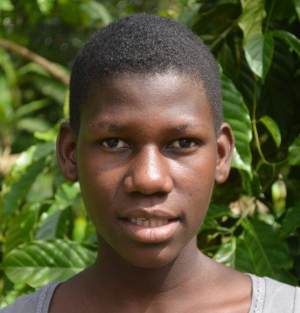 Nantume was given a placement in our secondary school and since then, we have learned that she is humble, reserved, and excels in math. She also enjoys playing netball, cooking, and weaving. In the future she would like to become a nurse. 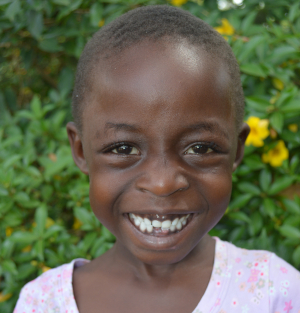 We are praying that she will excel in her studies and that she will know Christ personally. 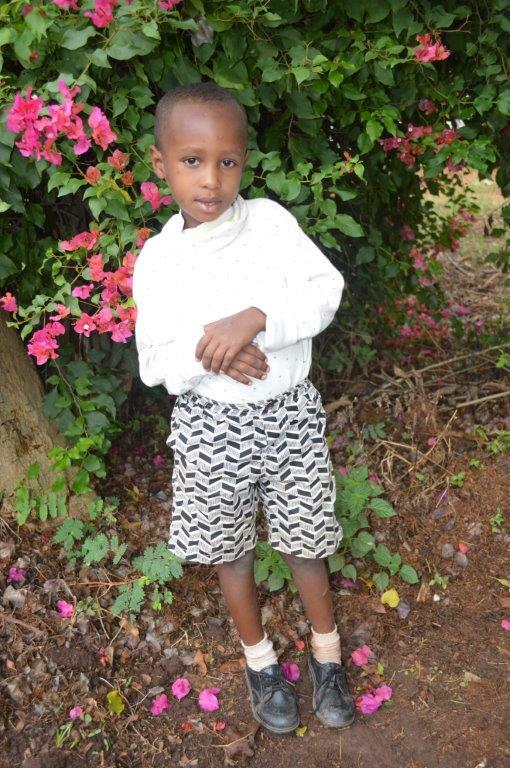 Both of Nuwahereza’s parents are alive, but, his father is very sick suffering from chronic wounds on his legs and unable to work much to support the family. 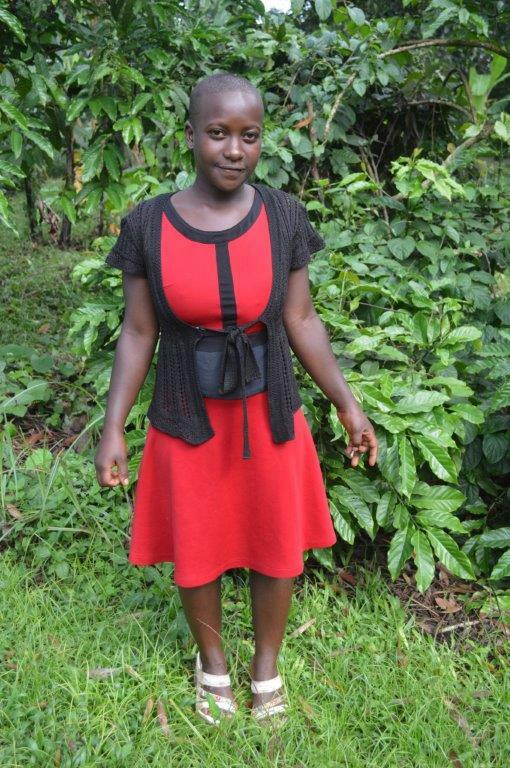 Nuwahereza’s mother does causal jobs on people’s gardens to earn a little extra money. The family is very poor and struggles to educate their children so they came to Kasana to ask for help. 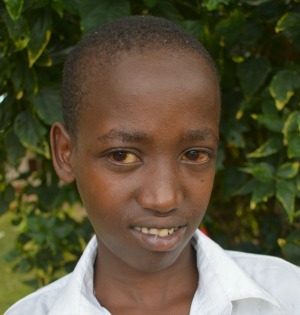 Nuwahereza, his brother George, and sister Winnie were given placements in our primary school. 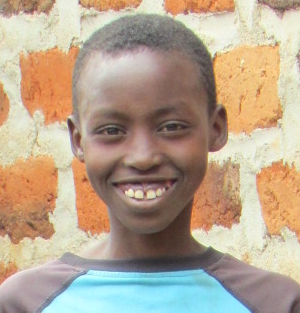 Since joining our school, we have learned that Nuwahereza enjoys running and playing soccer. He always has a smile on his face and in the future would like to become a doctor. We are praying for God’s provision for his family and for his father’s healing. Nyaika was the second child born to his parents. 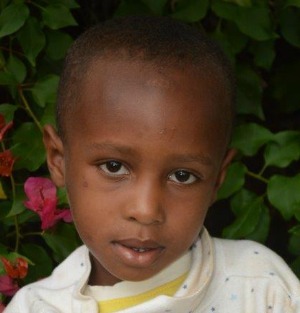 When Nyaika was three years old his parents separated and his father was later killed in a car accident. Nyaika is now living with his mother, brothers, and a cousin. 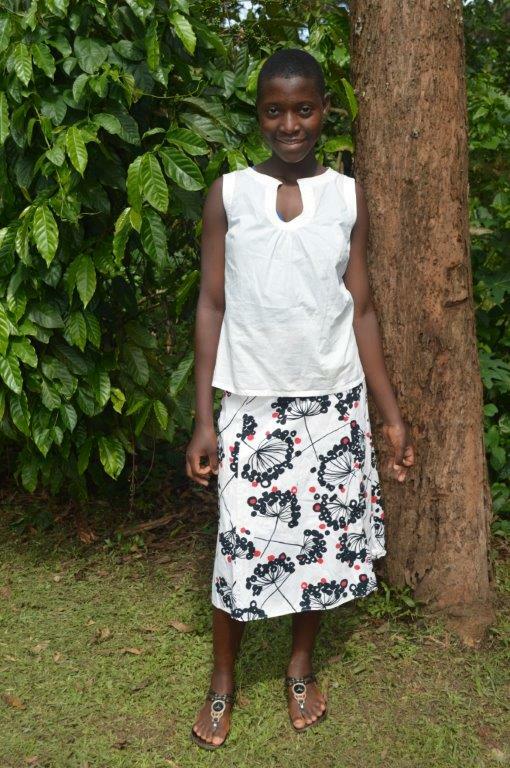 Since coming to Kasana, we have learned that Nyaika is a natural leader, loves to help, and is very respectful. He enjoys reading, studying, and playing soccer. One day he would like to become an accountant. Onyango’s mother passed away from cancer in 2015. 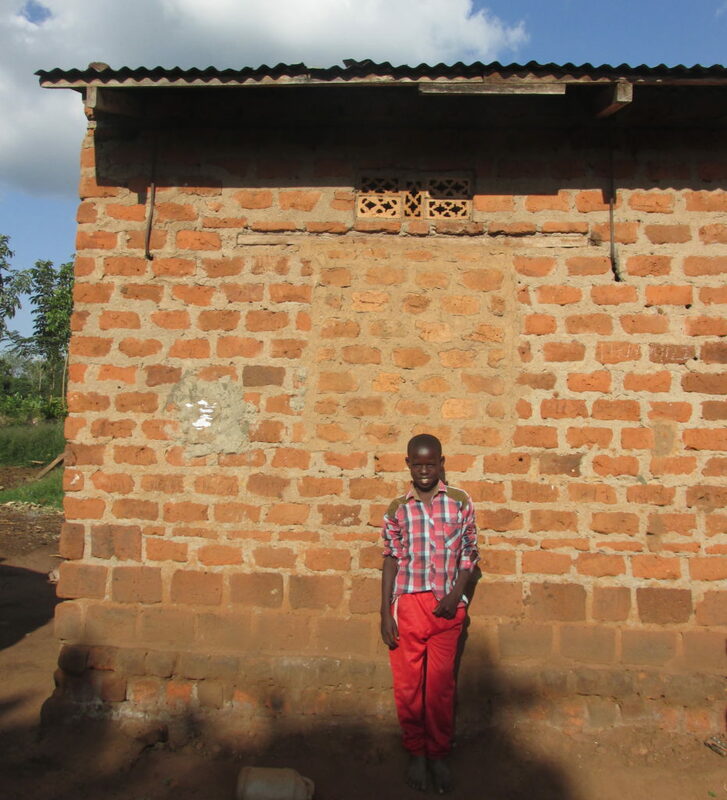 Onyango’s father has faithfully worked as an administrative assistant at our Kasana primary school since 2002 and now has the responsibility of raising his seven children on his own with a limited income. Because of this struggle, Onyango’s father, Uncle Okoth, has asked for help with his children’s education. 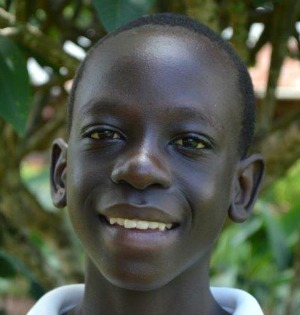 Since joining our school, we have learned that Onyango is friendly, outgoing, and very intelligent. He enjoys music and playing soccer. In the future he would like to become an engineer. Patience’s father died in 2014 from heart disease. Since then she has lived with her mother and siblings in a village which is quite a distance from Kasana and has limited access to education. Patience’s siblings did not have a chance to go to school because of the distance from home to where the schools are, and also because their mother could not afford to pay for their school fees. Their mother has a relative that lives near Kasana so she came to ask for help with Patience’s education. 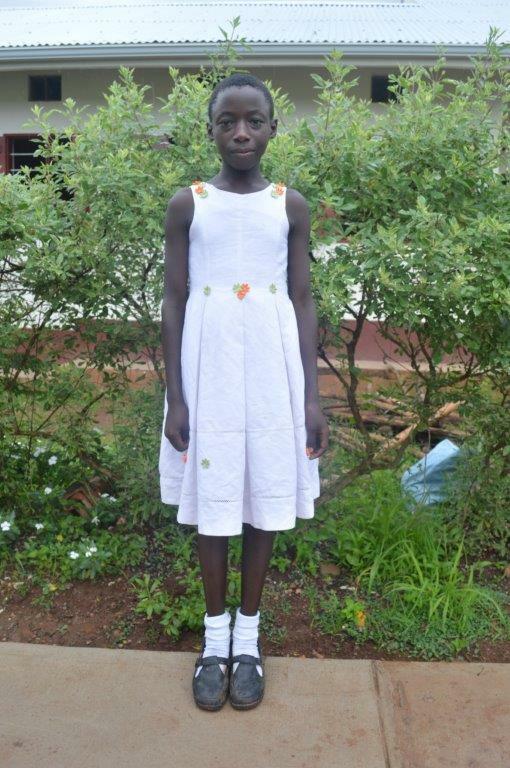 Patience was given a place in our primary school, and while at school she will be staying with her paternal aunt near Kasana. Patience is well-behaved, polite, and cheerful. She enjoys playing dodgeball and excels in English class. One day she would like to become a nurse. Richard’s father died in 2012 from severe chest pain. Richard then lived with his mother until he was two years old when his mother brought him to live with his paternal grandfather and aunt. His grandfather is a peasant farmer who earns very little and struggles to care for Richard. 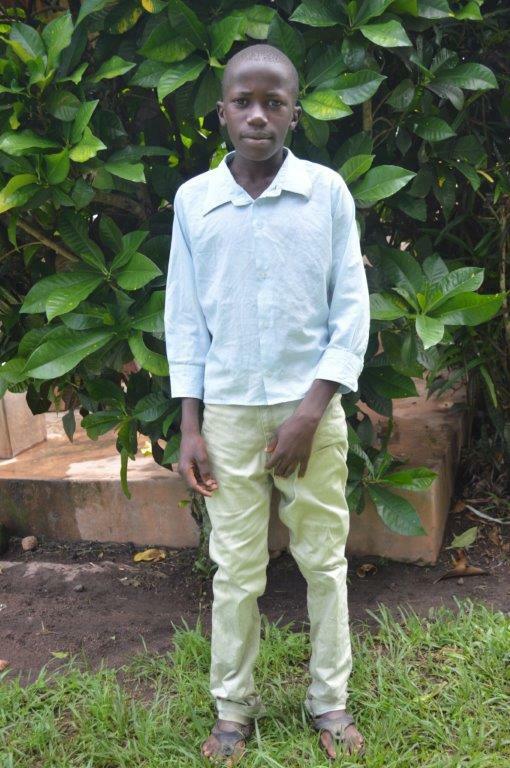 Since he is also getting old, he came to Kasana to ask for help with Richard’s education. Since joining our school, we have learned that Richard is social, creative, and disciplined. 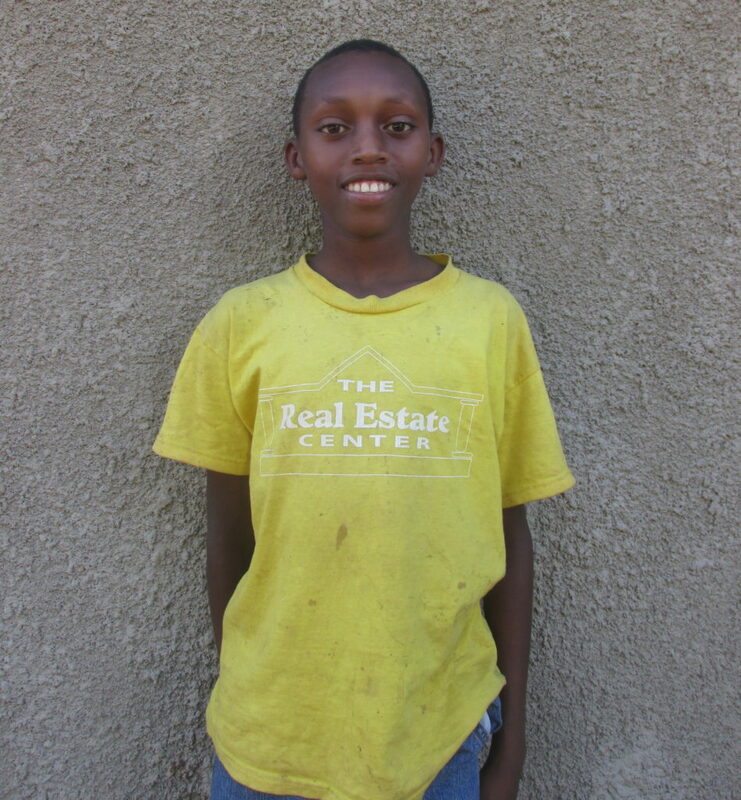 He enjoys playing soccer and would like to become a businessman in the future. It is our prayer that his family will come to know Jesus as their savior. Ricky was the second born of his parents who were unmarried but living together. However, after some time, the father disappeared and since then, no one knows his whereabouts. In 2017, when Ricky was 12 years old, his mother died of cancer. Ricky and his brother have lived with their grandma since then. Their grandmother only grows food for the family, and struggles to pay for their education. She therefore came to Kasana to ask for help with their education. 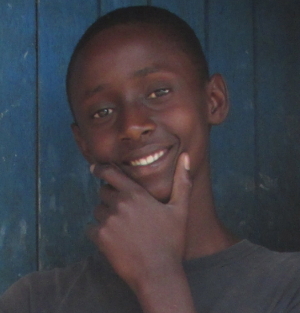 Since coming to Kasana, we have learned that Ricky is intelligent and humble. He enjoys soccer, gardening, and excels in math. In the future he would like to become a mechanic. We are thankful that Ricky accepted Christ 2 years ago at a church service and are continuing to pray for wisdom in his studies and provision for his family. Shadrach was the 4th child born of his parents who lived together until the death of his father in a motor accident. The father had two other wives and several children, 18 children in total. 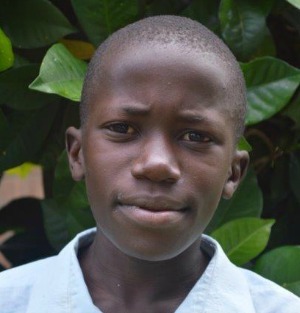 After the death of his father, Shadrach continued to live with his mother, then moved to live with his grandmother, and is currently living with his maternal aunt. The responsibility of taking care of all the children is overwhelming for the mother, and that is why she sent Shadrach to live with his aunt for educational support. But, Shadrach’s aunt is struggling as well because she does not have gainful employment, and so they came to Kasana to ask for help with Shadrach’s education. 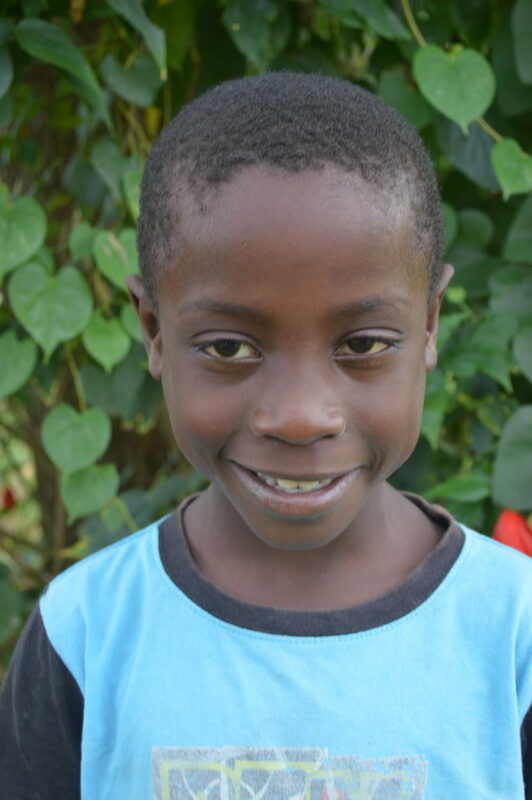 Since coming to Kasana, we have learned that Shadrach is polite, reserved, humble, and respectful. He enjoys playing soccer, reading, making toy cars, and riding his bike. In the future he would like to become a doctor. 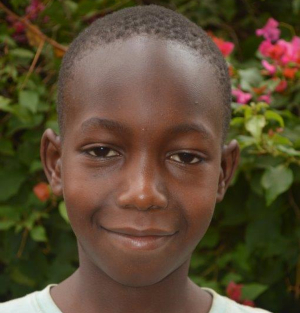 We are praying that Shadrach will do well in his studies and grow in his knowledge of Christ as his Lord and Savior. Steven lived with both parents for some time, but later his parents separated, and his mother left him with his father. His father took him to live with an auntie and later went missing. Steven lived with his auntie for 3 years, then with his grandmother for a year, and currently he is staying with his paternal auntie along with his sister Joan. Their auntie takes care of several other children and she is a single mom as well. She works as a market vendor in Kiwoko and earns very little. Their auntie struggles to take care of all the children’s basic needs and so she came to Kasana to ask for help with Steven’s education. 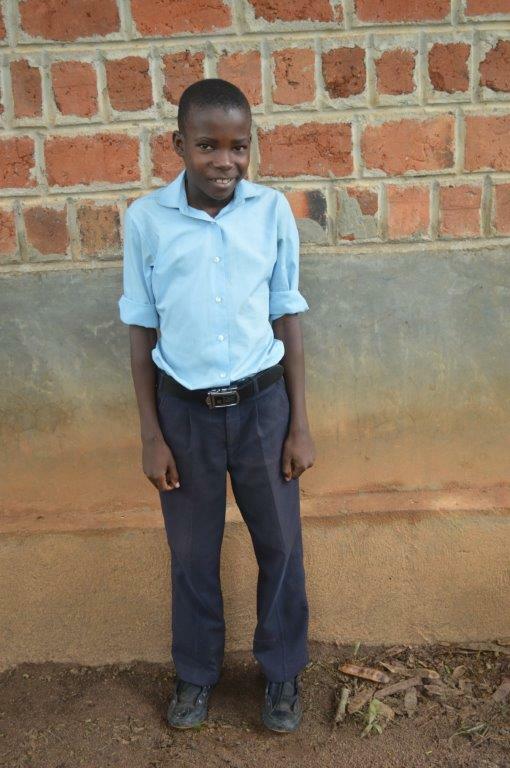 Steven was given a placement in our secondary school, and since then we have learned that he is respectful and humble. He enjoys playing soccer, and reading books. He also excels in history and would like to become an engineer in the future. We are praying that Steven will grow strong in the Lord, and that God will help his father and reunite him with his children. Trevor lived with both parents until the death of his father in 2014 after being attacked by robbers. Since then he has lived with his mother, two siblings and his elderly grandmother. Trevor’s mother works as a security guard at Kiwoko hospital and struggles to provide for all of those in her care. She is a very committed lady who loves and cares for her children, but cannot afford school fees. 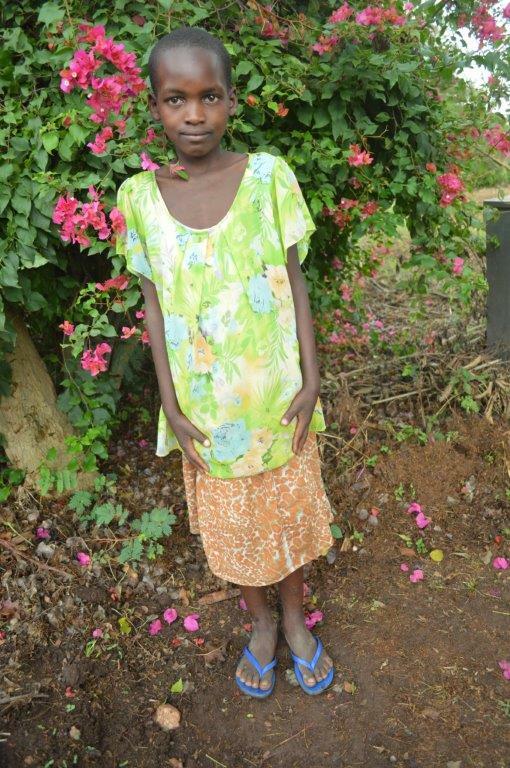 Because of this, she came to Kasana to ask for help with Trevor’s education. 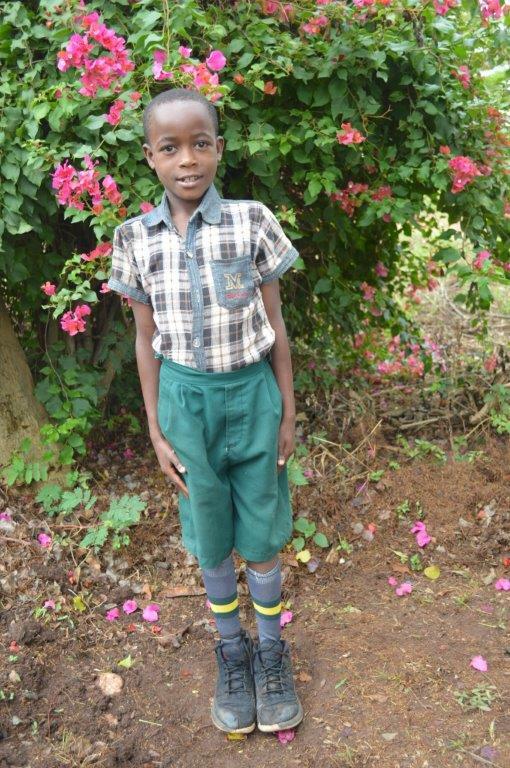 Trevor was given a placement in our primary school and since then we have learned that he is open-minded and social. He enjoys playing soccer and would one day like to become a doctor. Trevor is also very helpful at home and is often seen washing dishes or cooking alongside his mother and grandmother. It is our prayer that he will come to accept Jesus as his personal savior, study well, and become the person God created him to be. Trinity lived with both of his parents who were in a stable relationship until he was 1 1/2 years old, when his father died. His father was attacked by robbers who killed him and ran away with his motorcycle. 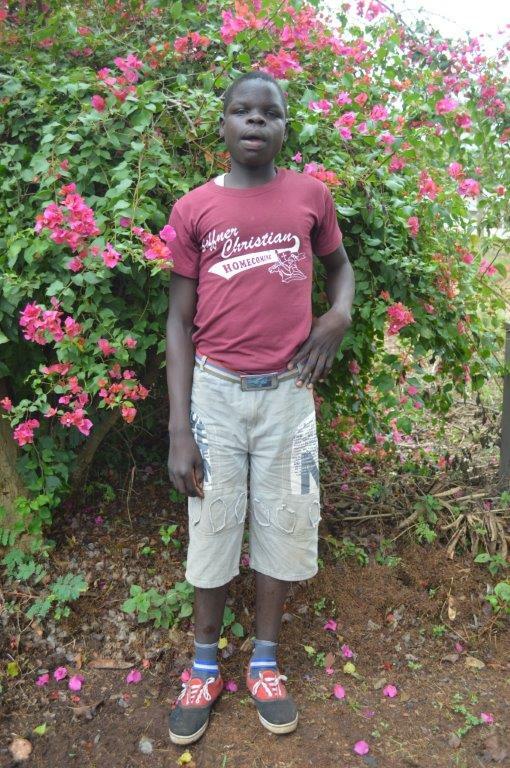 Trinity has since lived with his mother who is a security guard at Kiwoko hospital. As much as his mother is committed, cares for, and loves her children, she has a huge responsibility with all those under her care. 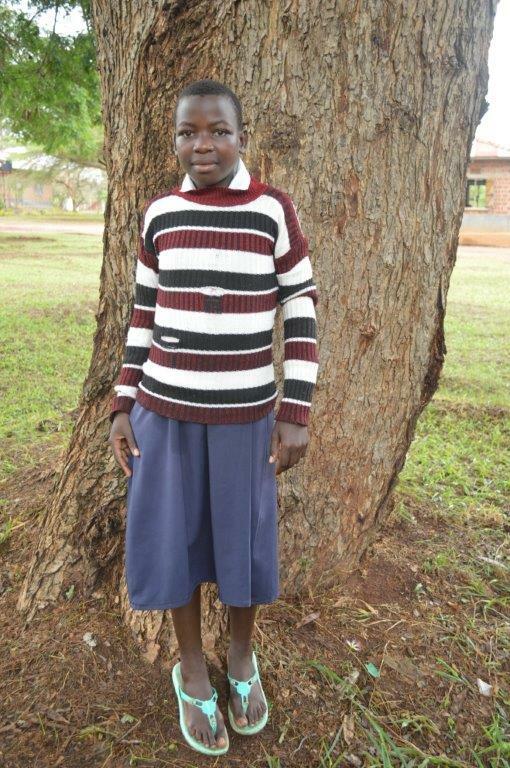 She struggles to feed them and pay their school fees, and so she came to Kasana for help with Trinity’s education. 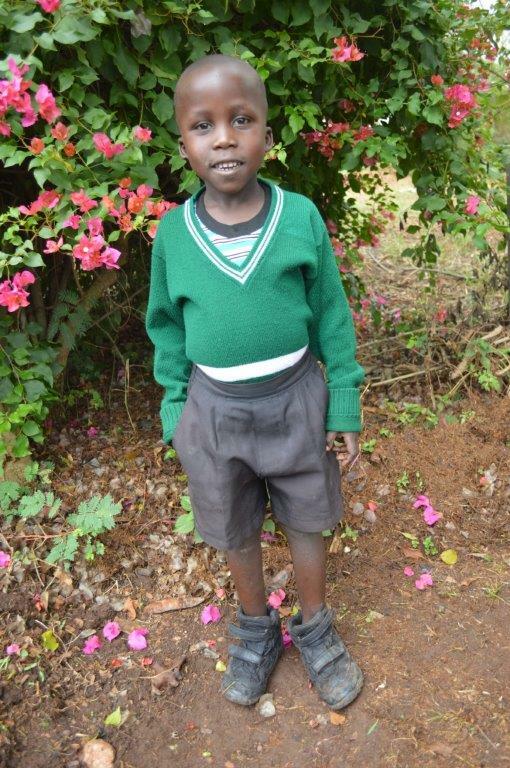 Trinity and his brother Trevor were given placements in our primary school. Since then, we have learned that Trinity is cheerful, confident, and loves athletics. It is our prayer that he will grow into the man God created him to be. David was the last child born to his parents. He lived with both parents until the death of his father in 2005. 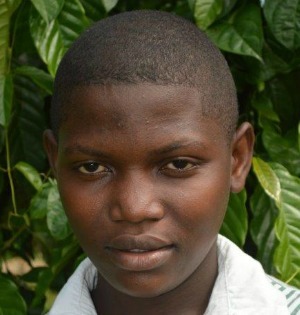 Since then has has continued to live with his mother, who is sickly and struggles to care for all her children. Recently his mother’s sister has brought some of the children to live with her. David’s aunt lives near Kasana and so she asked if David and some of his siblings could have places at our school. 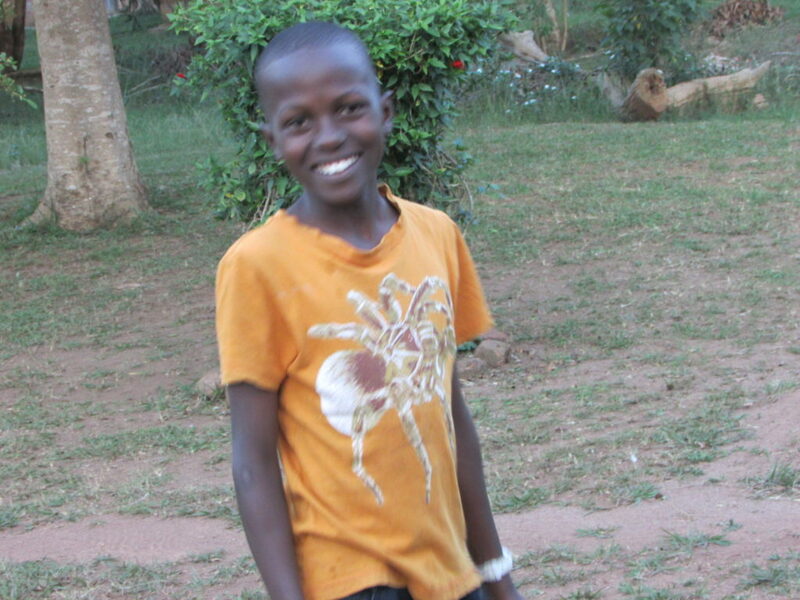 Since coming to Kasana we have discovered that David is obedient, talkative, and hardworking outside of class. 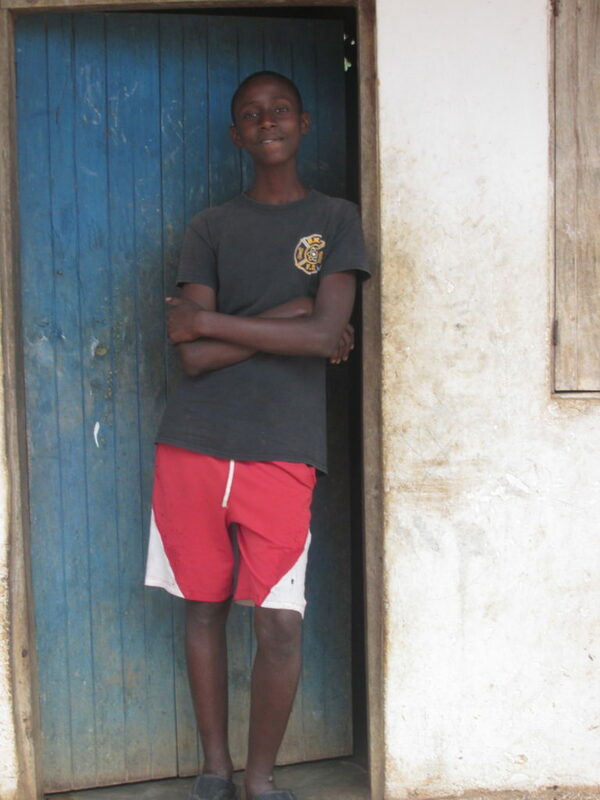 He enjoys playing soccer and would like to become a soldier one day. 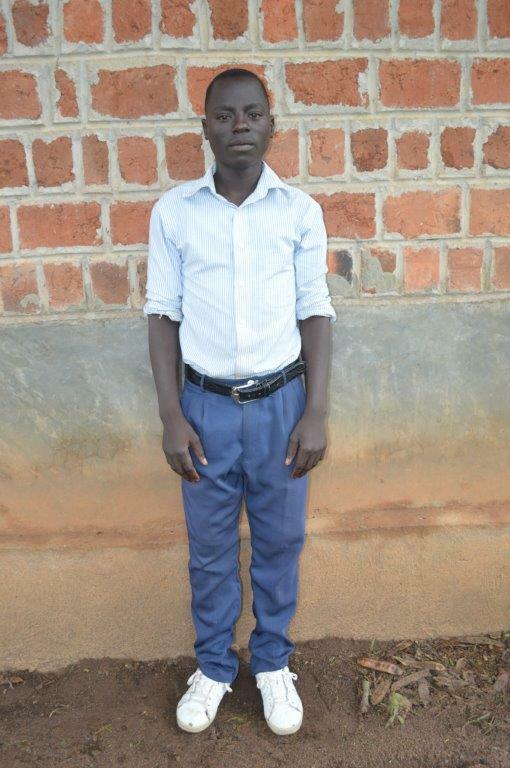 David says he is thankful to God for his protection and education through New Hope Uganda. Vincent has been living with his mother since he was born. His parents were in causal relationship and never married. His father died in 2011 after battling with cancer for almost two years. Vincent’s mother has six other children. She is a peasant farmer, and although she works hard, she earns little and struggles to take care of all her children. Since they live near Kasana, she came to ask for help with Vincent’s education. Since joining our primary school, we have learned that Vincent is emotional and reserved. He enjoys football, swimming, reading, and writing. He is also very helpful with dishes and fetching water at home. One day, Vincent would like to become an intelligence army officer. We are praying for his wisdom and God’s provision for this family. 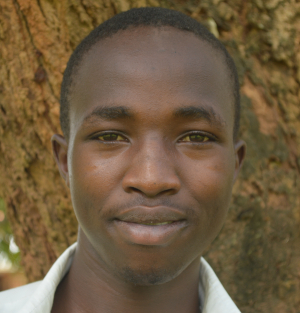 Wendo lived with both parents who were married until 2015 when his mother died of cancer. Wendo has six siblings and now lives with his father, Uncle Okoth, who works as an administrative assistant at our primary school at Kasana. It is a struggle for Uncle Okoth to raise seven children as a single-parent on a limited income and so he asked for help with the children’s education. 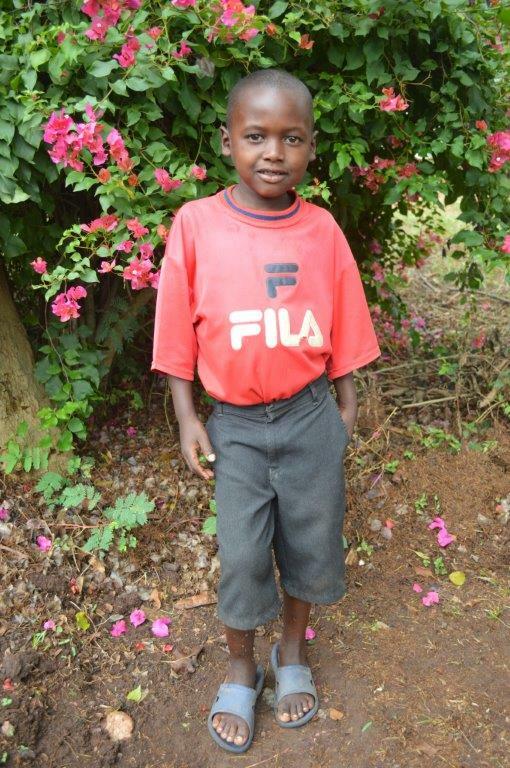 Since beginning to attend school at Kasana, we have learned that Wendo is friendly, God-fearing, honest, and polite. He enjoys playing soccer and basketball and would like to be an engineer in the future. Winnie lived with both her parents until recently. Her father is alive but very sick suffering from chronic wounds on his legs. He can hardly do any thing for himself or work to support the family. Winnie’s mother does causal jobs in people’s gardens and earns very little. The family is very poor and struggles to educate their children, and so they came to Kasana to ask for help. 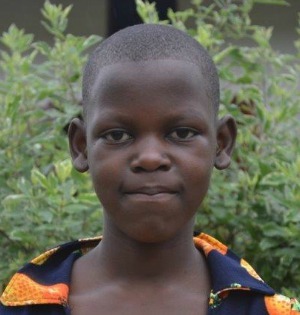 Winnie, and her two brothers were given placements in our primary school. Since then, we have learned that Winnie loves to sing, cook, and help her mother with chores. We are praying for God’s provision for the family and for her father’s healing. Esther’s parents lived together in a stable relationship, but her father also had other relationships and several other children. Her father died in 2011 from a severe fever. 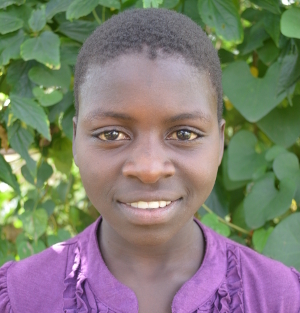 Esther currently lives with her mother and two of her siblings. The mother is a subsistence farmer who earns little and struggles to provide for her children. 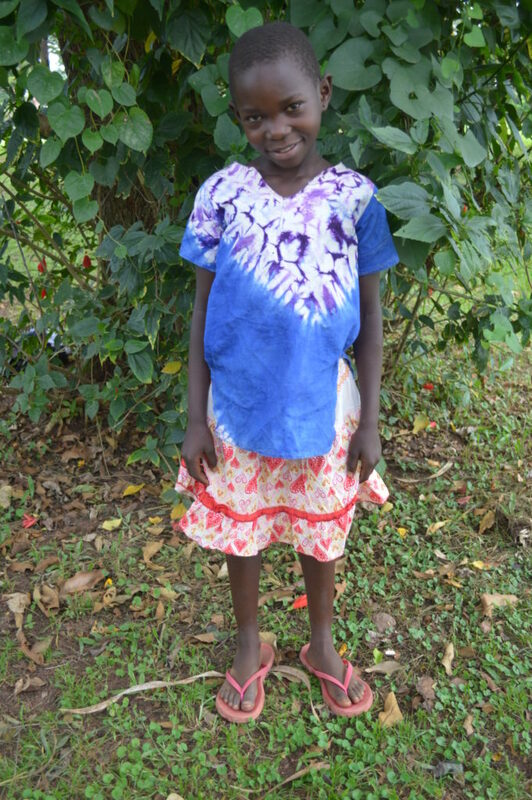 Since they live near Kasana, Esther’s mother came to ask for help with her education. 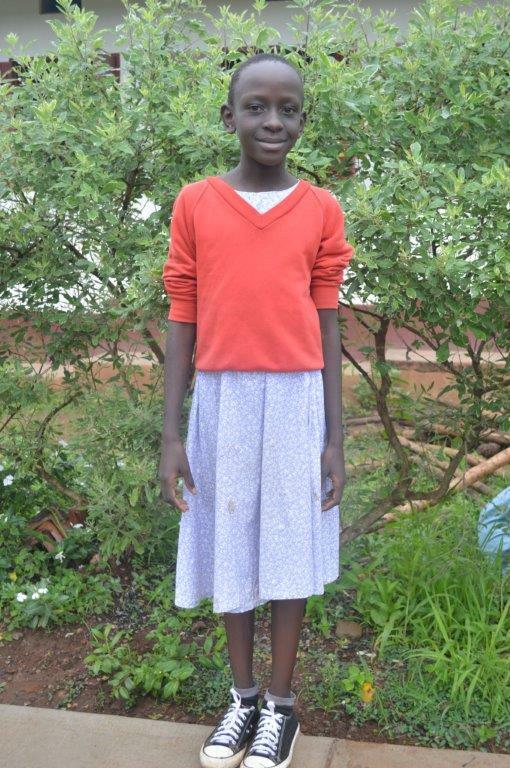 Since joining our school, we have learned that Esther is a lovely and cheerful girl. She enjoys singing, dancing, and making crafts. In the future, Esther would like to become a fashion designer. 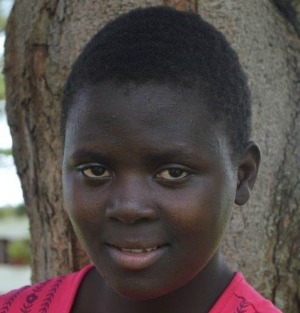 Nampebwa was the last born of her parents. Together they had 6 children; the father had several others from other women. 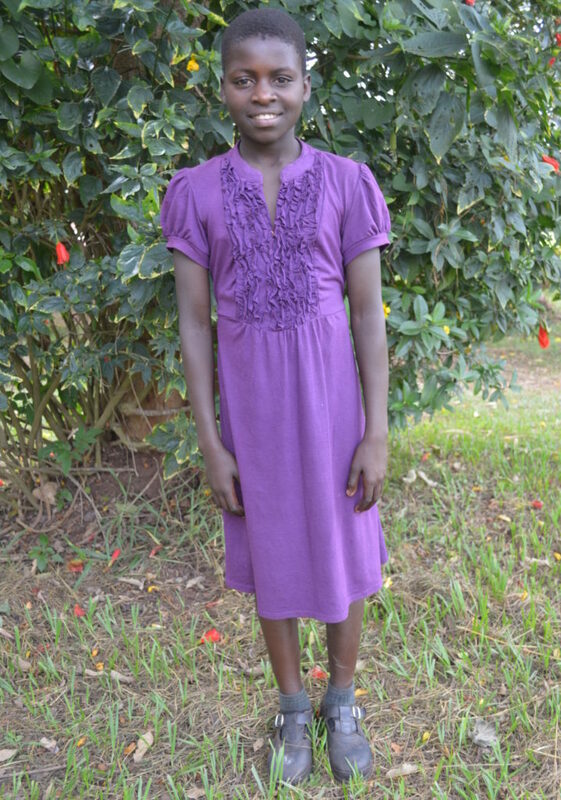 By the time Nampebwa was born, her parents had separated and so she has lived with her mother all her life until 2017 when she came to live with her brother who is one of our staff here at Kasana. Her father died in 2013, and she really had no relationship with him. 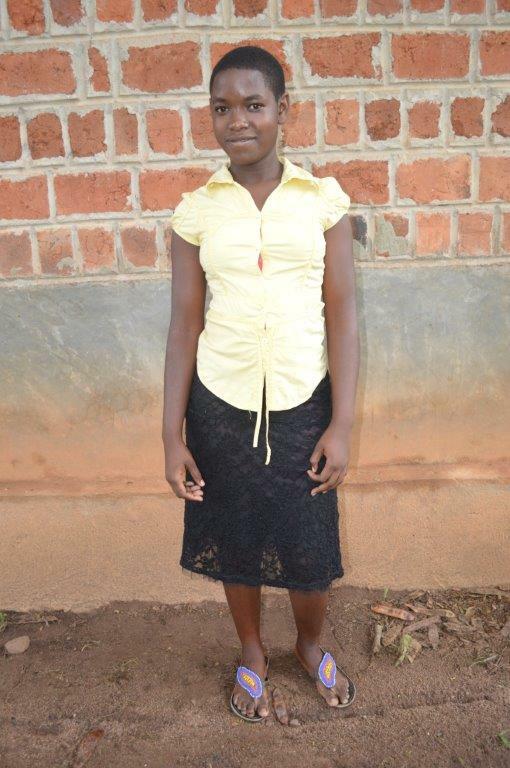 Nampebwa’s mother is currently struggling with health issues and she is unable to pay for her school fees. 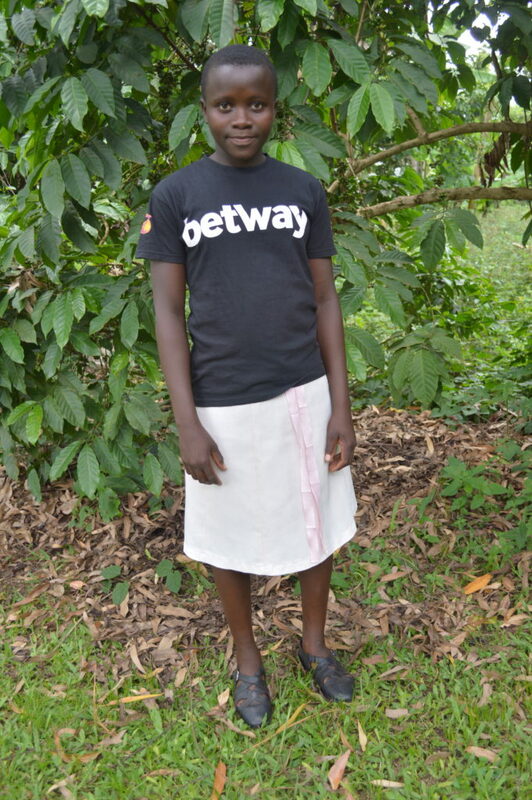 Her brother earns little, and has a family of his own to take care of; and so they asked New Hope Uganda for help with Nampebwa’s education. Since coming to Kasana, we have learned that Nampebwa is quite reserved and calm. She likes to play card games and would like to become a doctor in the future. We are praying for her provision and for healing for her mother. Tausi was the fourth and last born of her parents. Her father had several other relationships and several other children, 20 in total. He died of a hernia in 2007, when Tausi was 2 years old. She has since lived with her mother who is a peasant farmer, earns very little, and struggles to take care of the children. 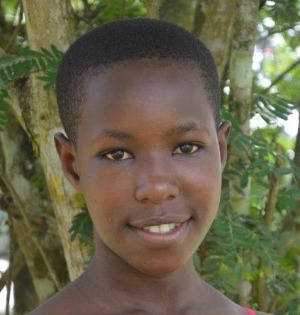 Since they live near Kasana, she came to ask for help with Tausi’s education. 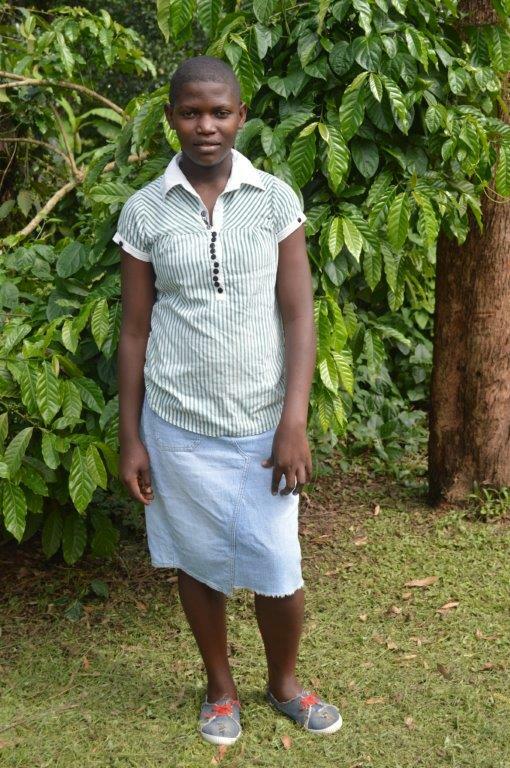 Since joining our secondary school, we have learned that Tausi is humble and outgoing. She enjoys playing netball, and excels in math. In the future she would like to become an accountant. Loyce is the 6th child born of her parents who have never been in a stable relationship. Her father is alive, but lives far away and does not support the family. Because of this, Loyce has been moved to live with several relatives. Currently she is living with her mother who takes care of 3 other children and yet she earns very little and struggles to pay for her children’s education. Since they live near Kasana, she came to ask for help with Loyce’s education. 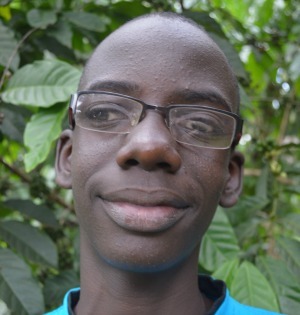 Since coming to Kasana, we have learned that Loyce is respectful and humble. She enjoys reading, making local mats, and excels in English and social studies. In the future she would like to become a nurse. Sylvia’s father died in 2008, and Sylvia has never met her mother. 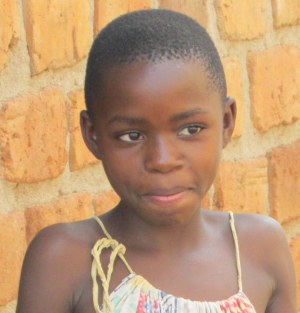 When her father died, Sylvia was left to stay with her grandmother, but she could not afford to pay for Sylvia’s school fees, and so she was brought to live with her auntie. The auntie is a peasant farmer and grows mainly food crops for the family. She takes care of 8 other children and the responsibility is overwhelming for her. Since they live near Kasana, she came to ask for help with Sylvia’s education. 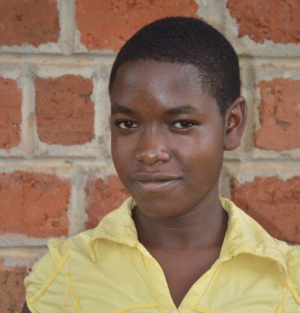 Since joining our secondary school, we have learned that Sylvia is artistic, respectful, joyful, and outgoing. She enjoys hairdressing, cooking, and studying history. In the future she would like to become a journalist. We are praying that she will be able to reconnect with her mother and for God’s provision for her family. Keiranga was the first of six children born to his parents, who were married and in an exclusive relationship. He lived with both parents until he was five years old, when he went to live with his paternal grandfather, with whom he lived until he was ten years old; he then went back to his parents. His father died in 2004, as the result of a bicycle accident. Keiranga has stayed with his mother since then. His mother is a peasant farmer, growing food to feed her family; she also works at New Hope’s Guest House to make a little extra money. There are several others living with them, besides her children, including an aunt and her two children, another cousin, and the maternal grandmother. 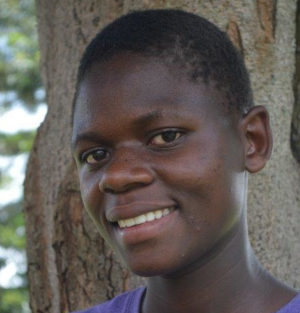 Keiranga loves to play soccer and is currently studying business management. His mother has sole responsibility for all of her children and is not able to adequately support them; there is very little, if any, money to spare for schooling. Since they live nearby the mother came to New Hope for help with schooling for Keiranga. 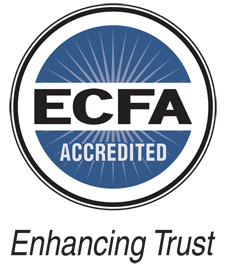 He has progressed well and he is has completed his certificated in business management. Keiranga now needs short term support to upgrade to a diploma level. Sumaiya is the second child born to her parents who were not married, but living together. As a baby Sumaiya and her older sister Shakira came to stay on-site at Kasana Children’s Center with their mother. Their parents had a very violent relationship and their mother had left their father. They stayed in Hope Family for two years then their parents reconciled, but it was for less than a year. Sumaiya and her older sister were then brought back to Hope Family for their own safety. They are still living in Hope Family until we can find them a foster home. Sumaiya enjoys playing with friends and riding a bicycle. 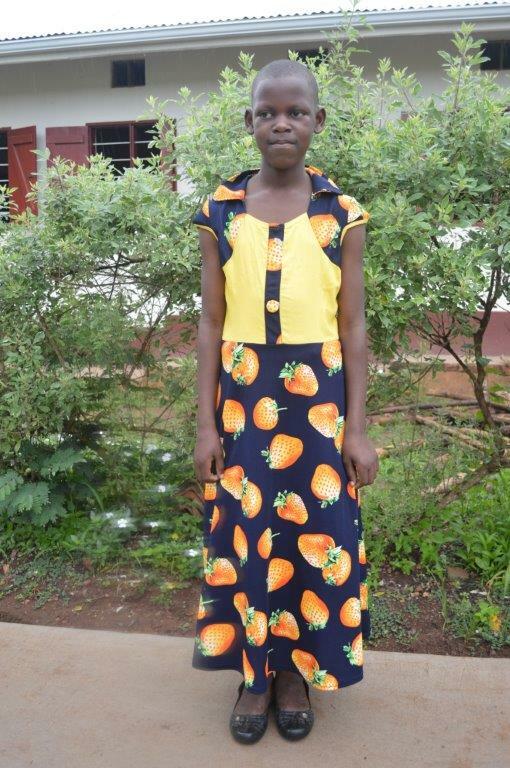 Annet’s father died in 2013 and her mother is remarried and has other children. Annet has lived with many family members, but now lives with her uncle who cares for many children and struggles to provide for all their needs. 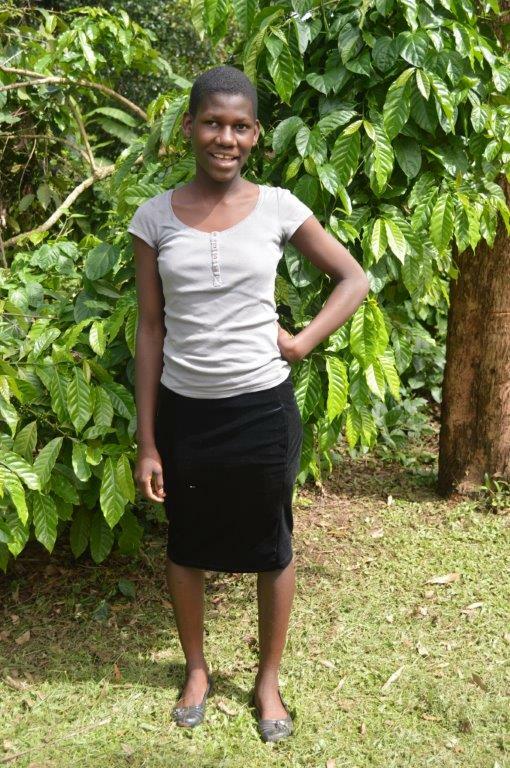 Since coming to Kasana, we have learned that Annet is humble, but knows what she wants. She enjoys playing netball with friends and would one day like to become a nurse. 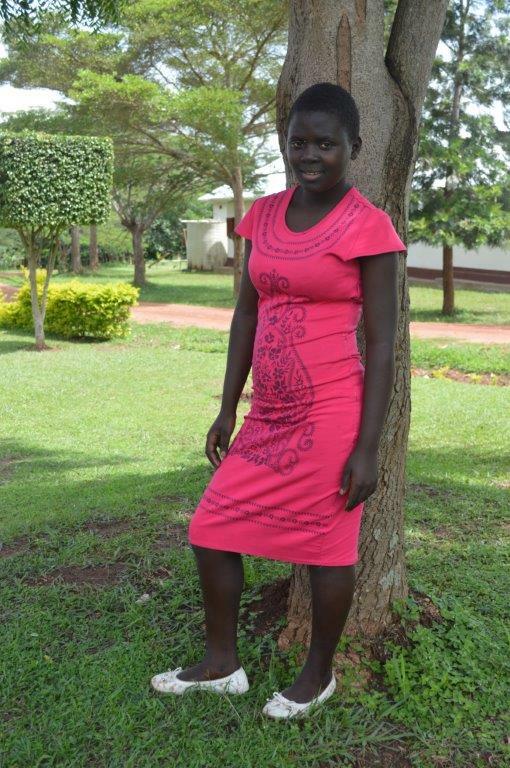 Annet gave her life to Christ in 2015. Brian was the last born child of his parents who were in a traditional marriage; his father had two other wives. Brian lived with both parents until he was one year old, when his father died from hypertension. After his father’s death, his father’s older children sent Brian’s mother and her children away. Brain lived with his maternal grandmother from age two until he was seven when he and one of his siblings came to live with his maternal auntie, her child, and his uncle, who are brother and sister . 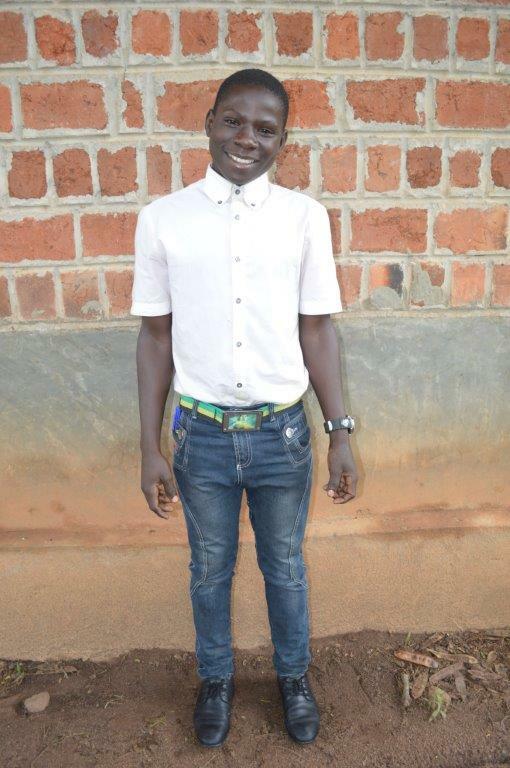 His uncle, Kikonyoga Kenneth, was an NHU child who now works at our radio station while he is still studying and working on his higher education degree; he also helps with school fees for two other children and so he asked for help with Brian’s school fees. 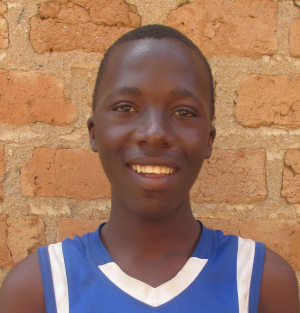 Since coming to Kasana, we have learned that Brian is friendly, enjoys playing soccer, repairing things, and would one day like to become a mechanic. Darren was the second child born to his parents who were in a traditional marriage. He lived with both parents until the death of his father in 2011 from heart disease. His mother Olivia struggled living in Kampala (capitol city) and bringing up three children by herself. A cousin to his mother who works at Kasana suggested she apply for work here. She is now working as a teacher in our primary school. Darren lives with his mother, and his siblings onsite at Kasana. He is outgoing and playful. He enjoys playing soccer, singing, and riding his bicycle. Darren excels in math and science and would one day like to become an electrical engineer. Darren gave his life to Jesus at the age of 7. Justine was the second child born to her parents. She lived with both parents, until her father’s death in 2012. She then lived with her maternal uncle, then her mother, and she now lives with an elderly lady who is 85 years old in the community, who has taken her and other children in. The elderly lady has a small garden she grows their food in, but cannot pay school fees, so she came to Kasana for help with Justine’s education. Justine is jovial and thinks big. She enjoys cooking, gardening, washing clothes, and making crafts. 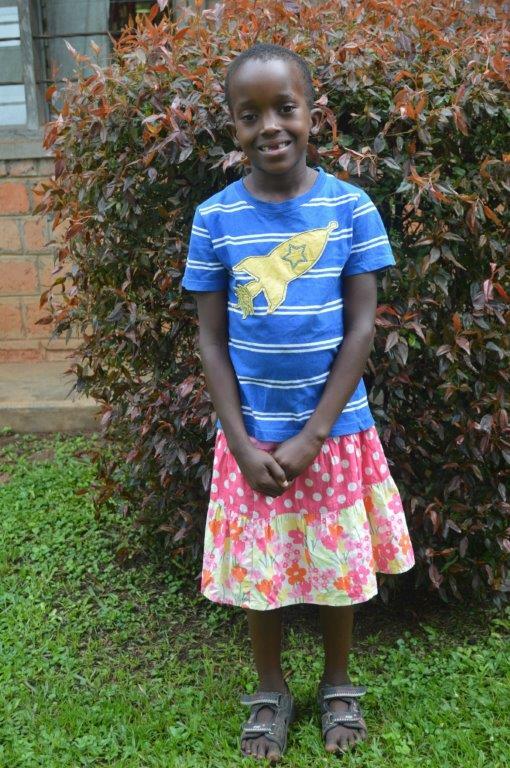 One day she would like to become a nurse or a doctor and is thankful for the good, caring, and loving teachers at Kasana! We are also thankful that Justine just recently accepted Jesus into her life. 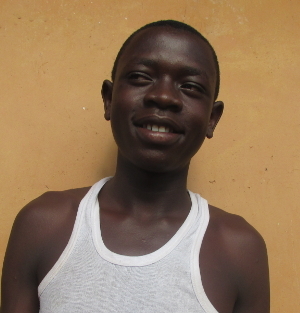 Kavuma was the third child to his parents who were married, but his father had two other relationships. He lived with his parents until 2007 when his father died in a car accident. 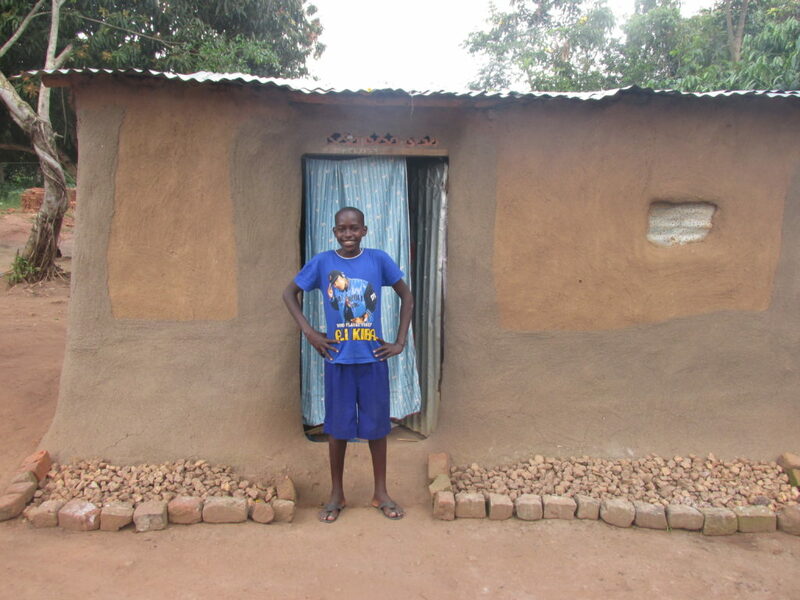 He has continued to live with his mother who is a cleaner at the nearby Kiwoko hospital, but she earns very little and struggles to provide for all the family’s needs. 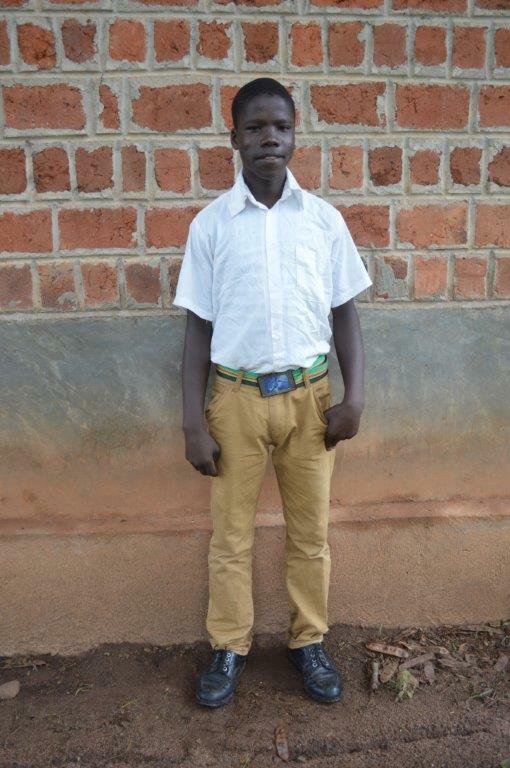 Kavuma’s mother brought him to Kasana for help with his education. Since coming to Kasana we have learned that Kavuma is cooperative, and friendly, but can be argumentative at time. He enjoys playing soccer, basketball, chess, and is very bright. One day he hopes to be a mechanic or engineer. Kavuma loves the Lord. 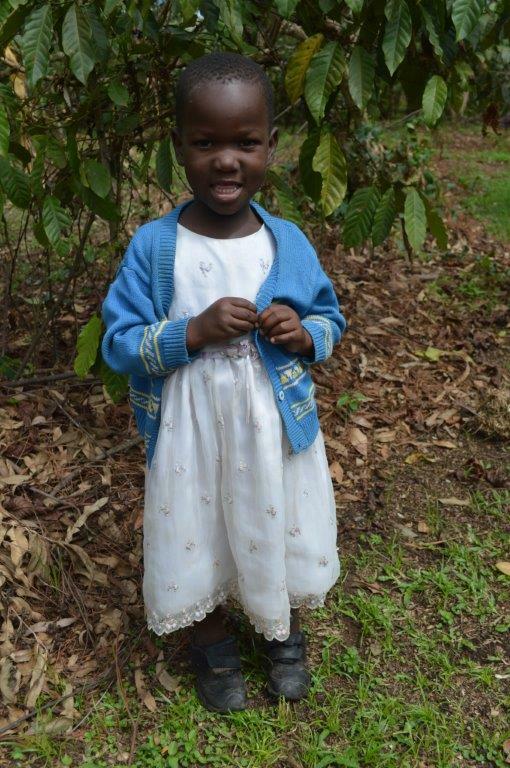 Nabakiibi was the first child born to her parents. She lived with both parents, until the death of her father in May 2015, when he fell off the back of a truck. 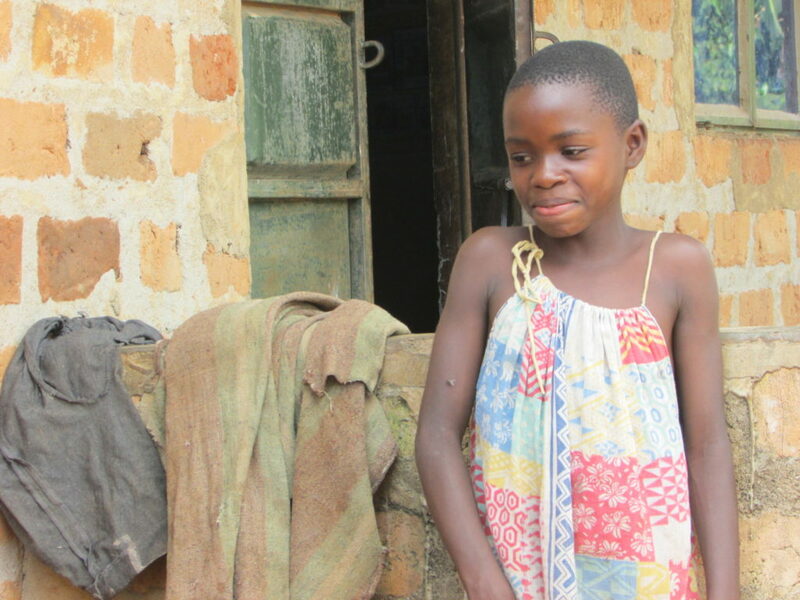 Her mother does casual jobs to earn enough to feed the family, but cannot afford school fees. 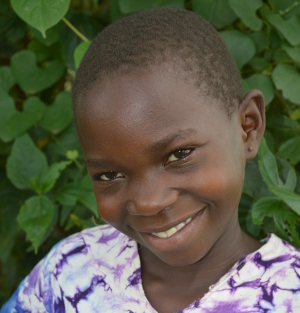 She lives near Kasana, so she came to us for help with Nabakiibi’s education. 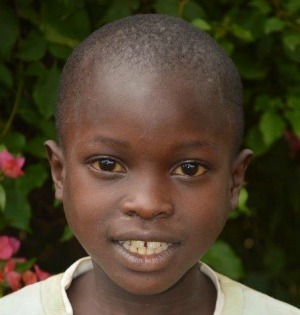 Nabakiibi enjoys playing pretend mother and would one day like to become a doctor. 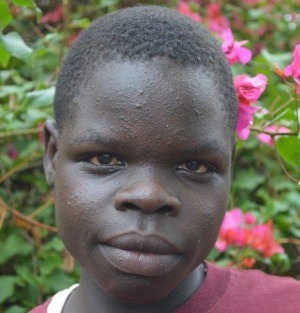 Sembatya was the fourth child born to his parents who were unmarried but living together. 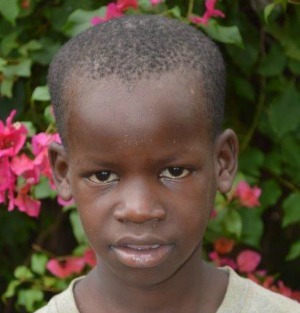 Sembatya stayed with both parents until the death of the father in 2004. He has lived with his mother since then. His mother earns an income running a small shop, she pays school fees for two of her children who are away at school. She does not make enough money to adequately provide for her family and was recommended to us by the local village leader. 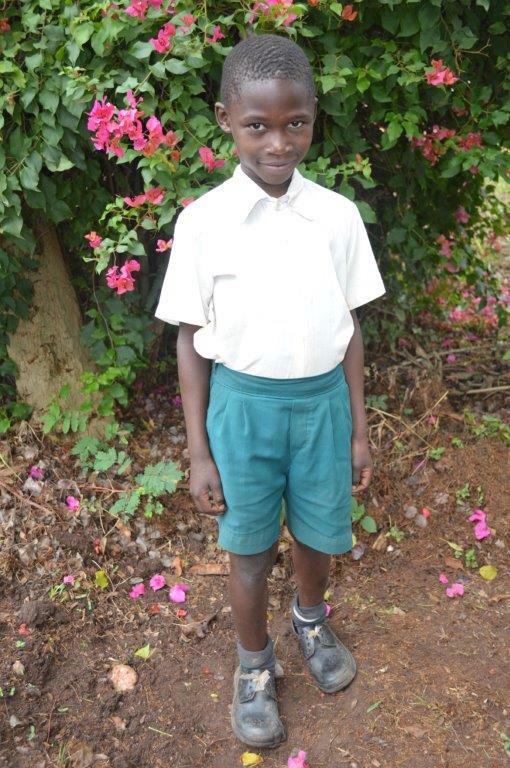 Sembatya and his younger brother Christopher were given places in our Primary School in 2006. 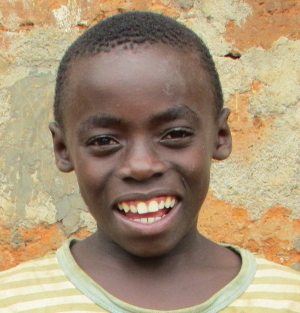 Since coming to Kasana, we have learned that Sembatya is well-behaved, enjoys playing soccer with friends, reading novels, his Bible, and he enjoys in science. He is in need of an additional short-term sponsorship while he finishes his mechanics course.